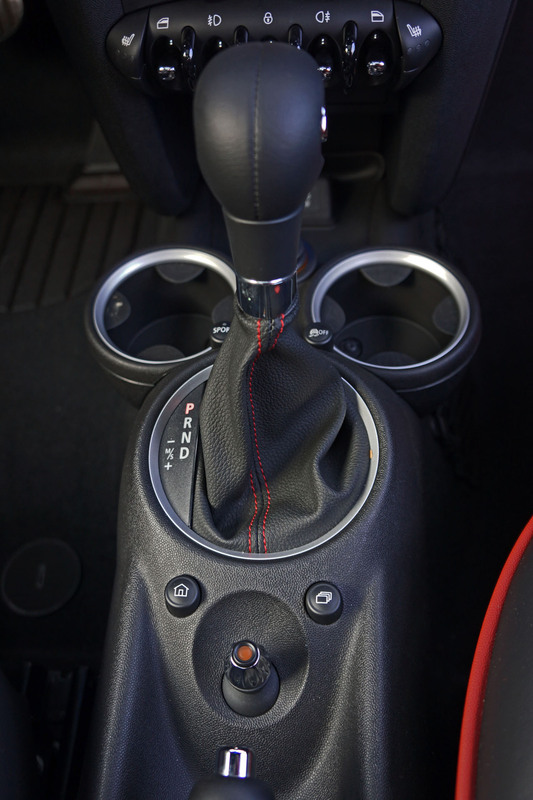 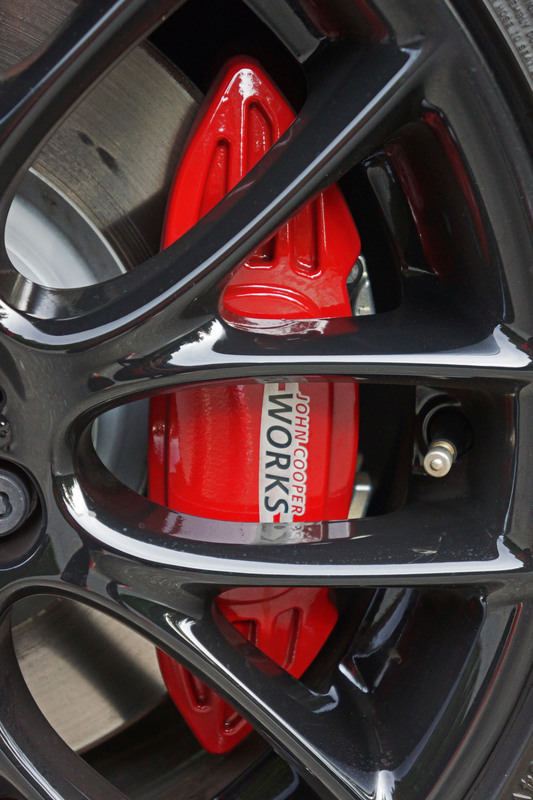 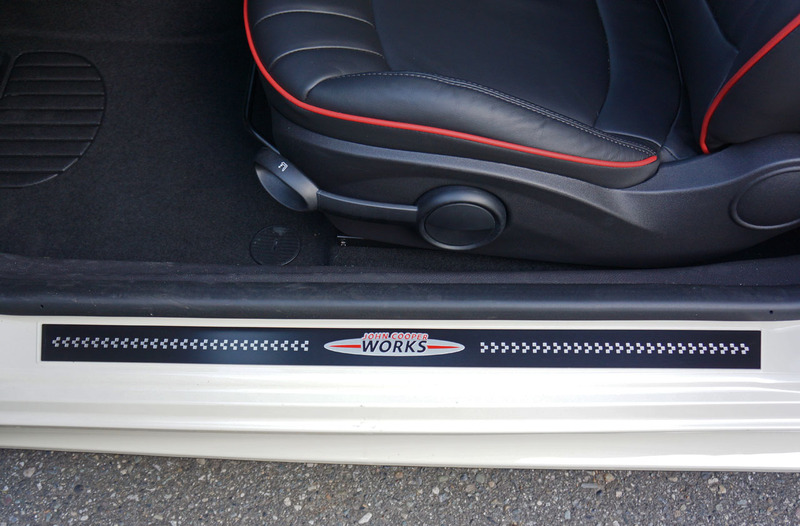 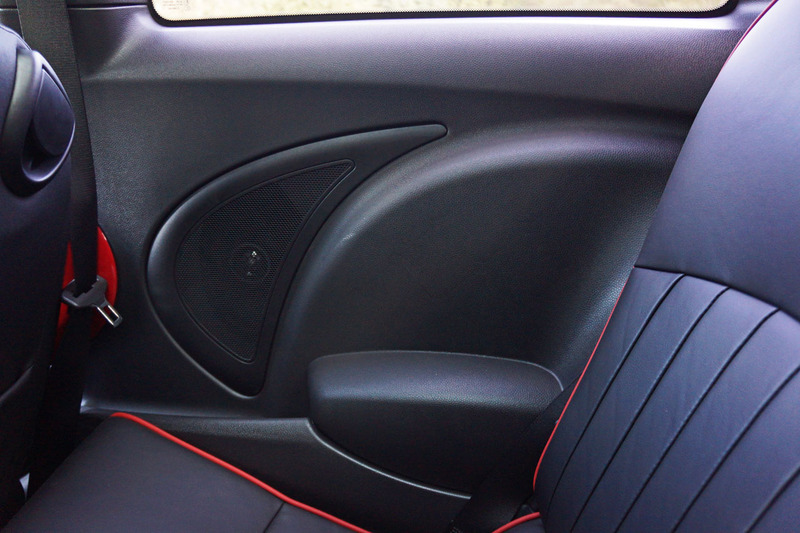 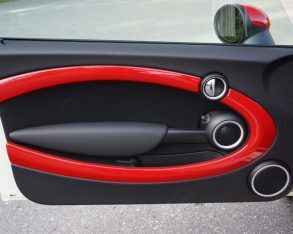 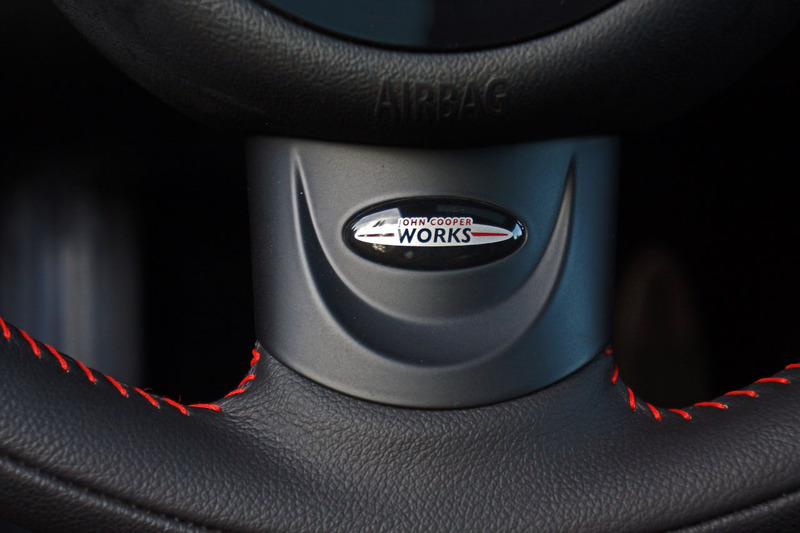 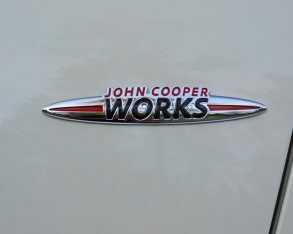 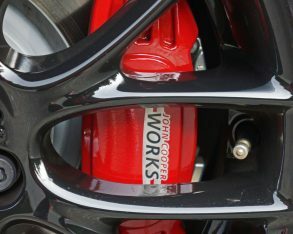 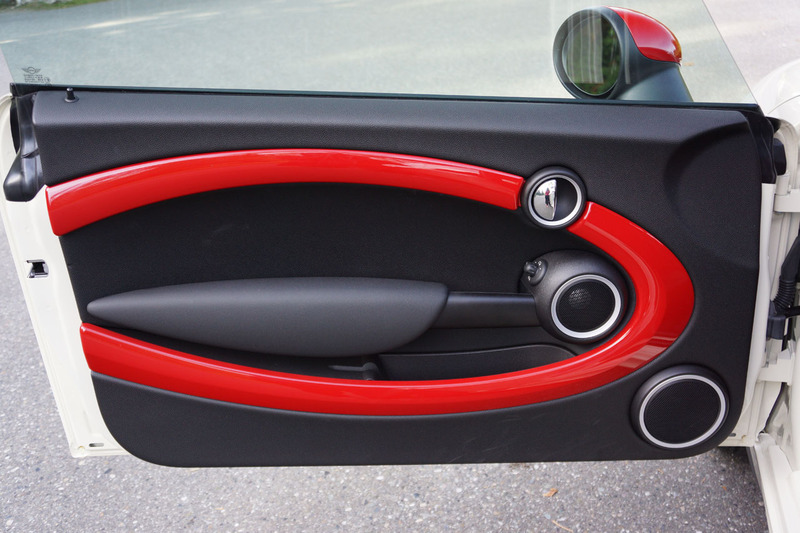 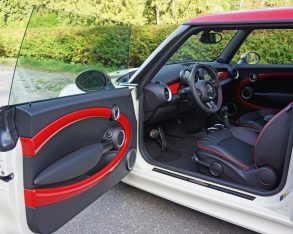 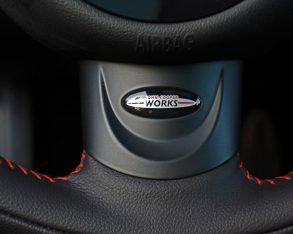 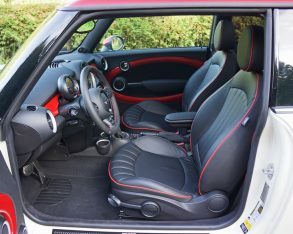 available with special John Cooper Works upgrades. 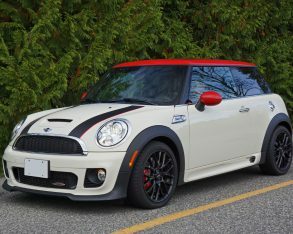 You can get a new 2014 JCW Clubman, Convertible, Coupe, Roadster, Paceman or Countryman, but the 2014 JCW Hardtop is nowhere to be seen. 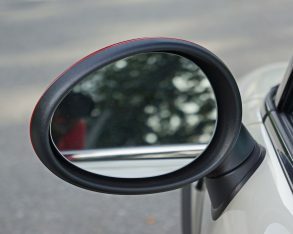 What’s the problem? 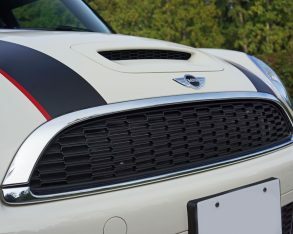 The fact is that Mini never made one. 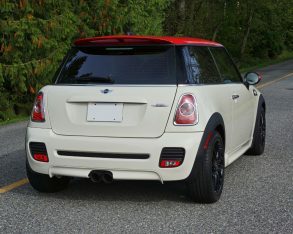 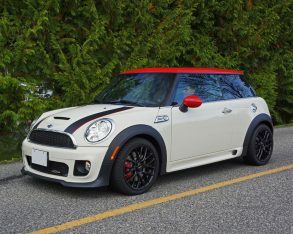 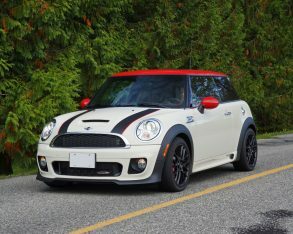 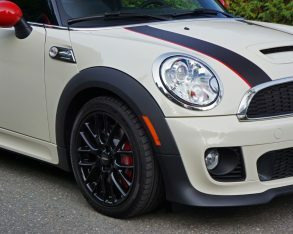 With the all-new Mini Hardtop having only arrived in base Cooper and mid-grade Cooper S trims for the 2014 model year, the JCW version, which is expected to be the most powerful production Mini ever made at somewhere around 230 horsepower, is still forthcoming. 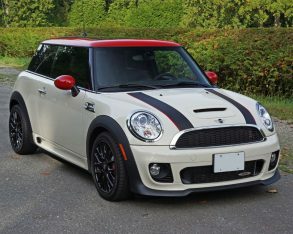 with 2015 model year Minis upon us I admit that I did it on purpose so that I could include this review as a late 2014 entry. 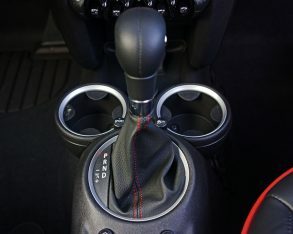 If I didn’t, how else would I have been able to test it out and tell you the tale? 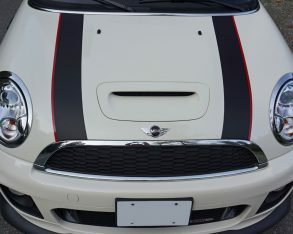 I hope you can forgive me this indiscretion, but I promise you it was well worth it. 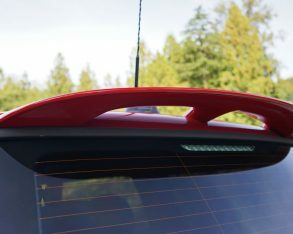 turn every head as it passes by including those capped off with precinct shields, it sure looked fabulous. 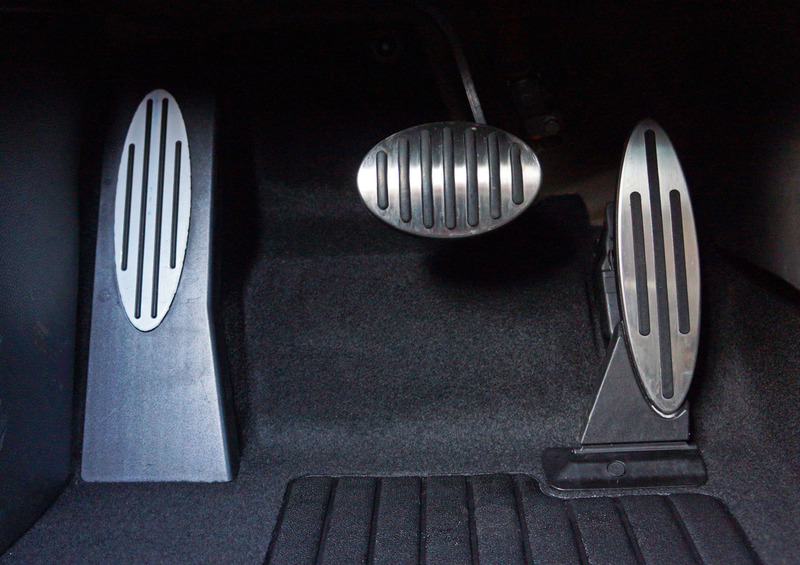 will have to do, as I deep dive into double digression. 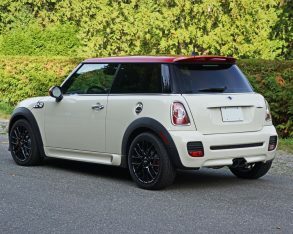 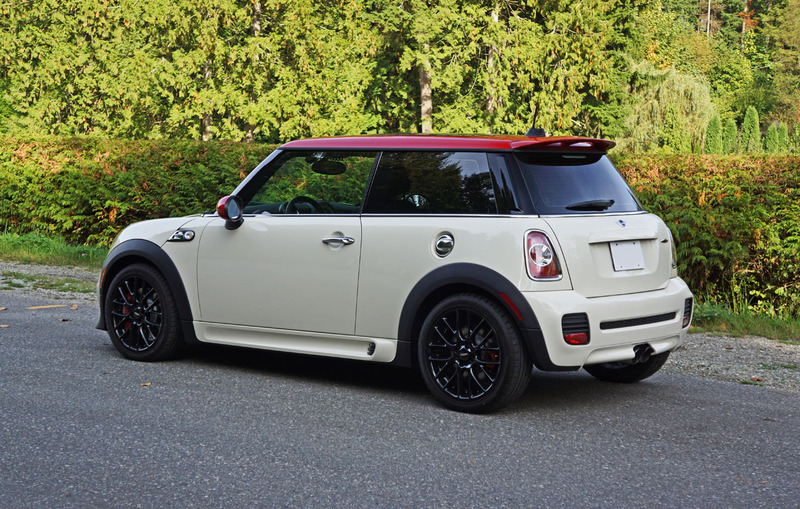 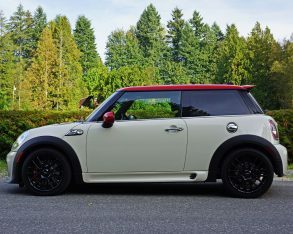 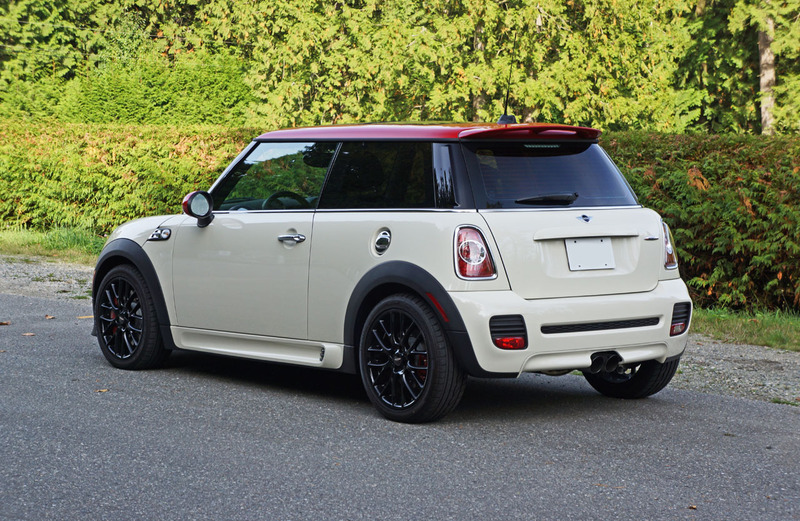 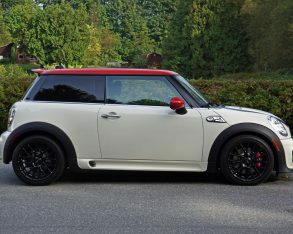 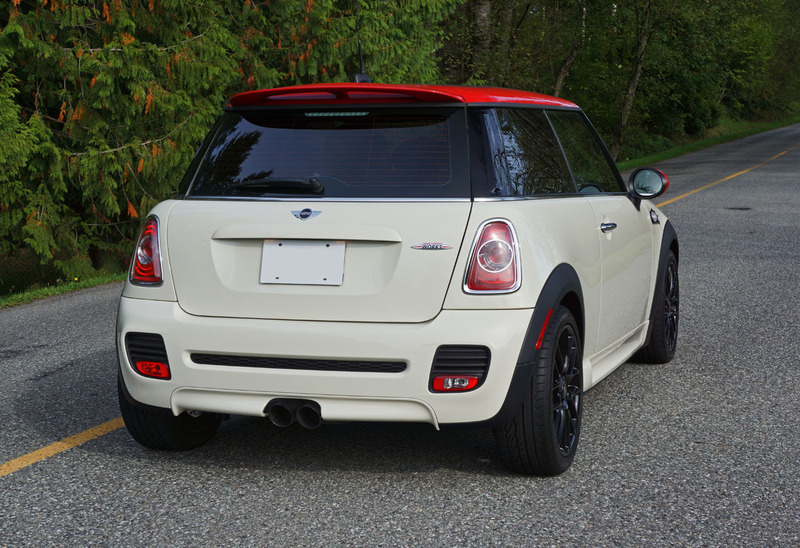 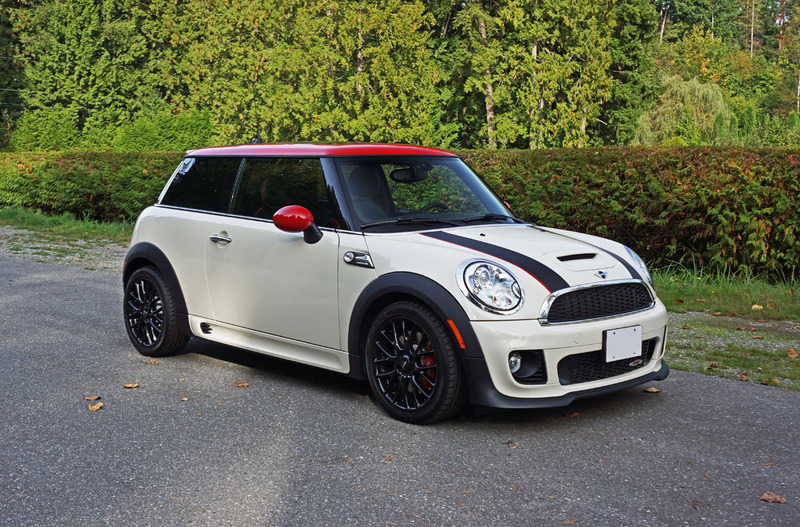 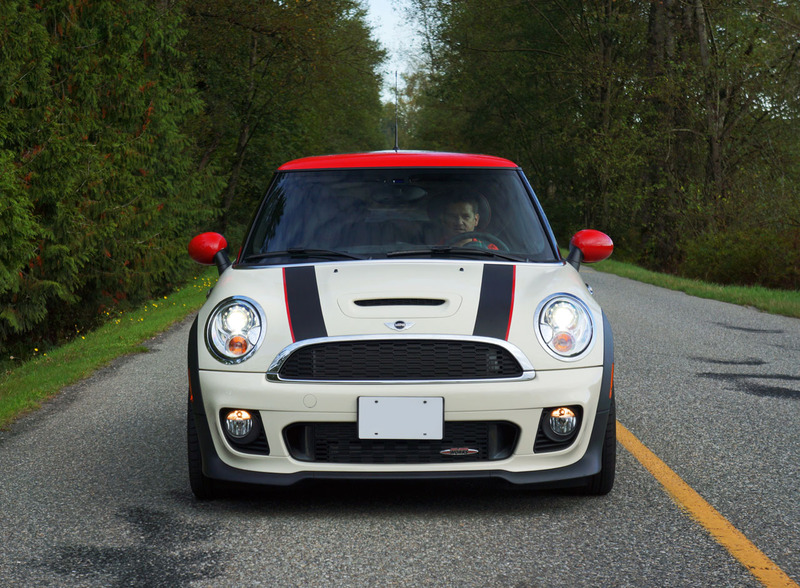 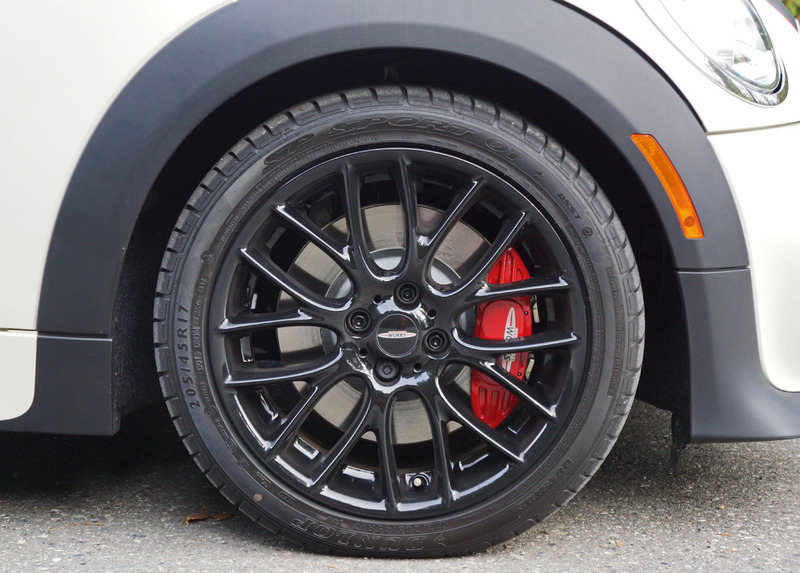 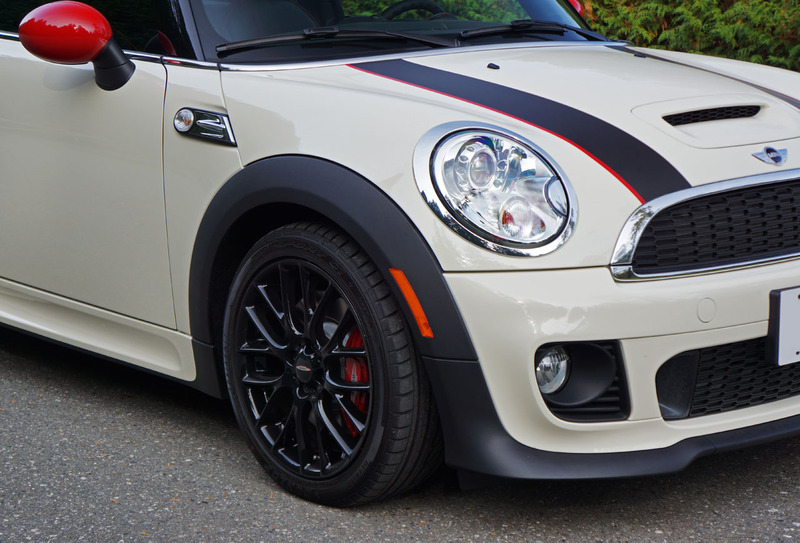 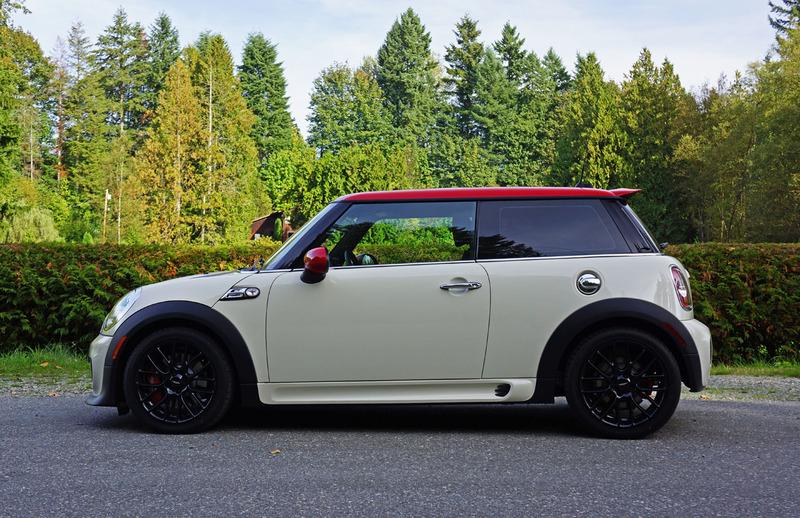 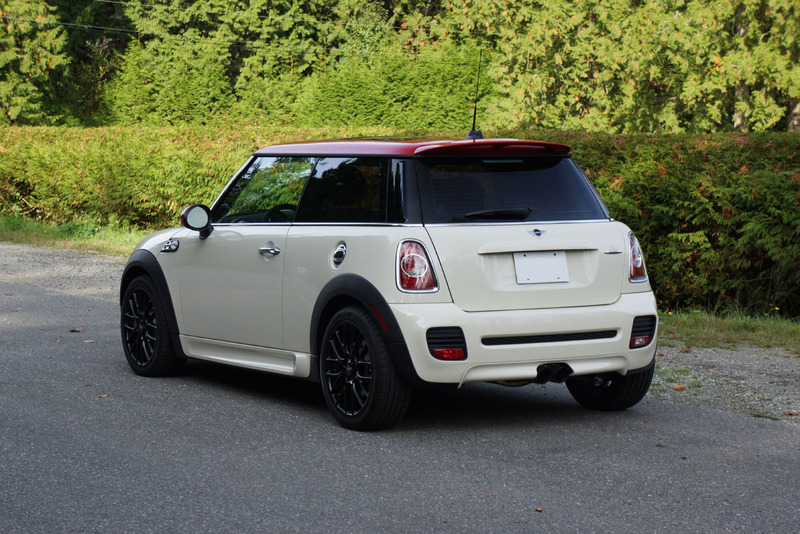 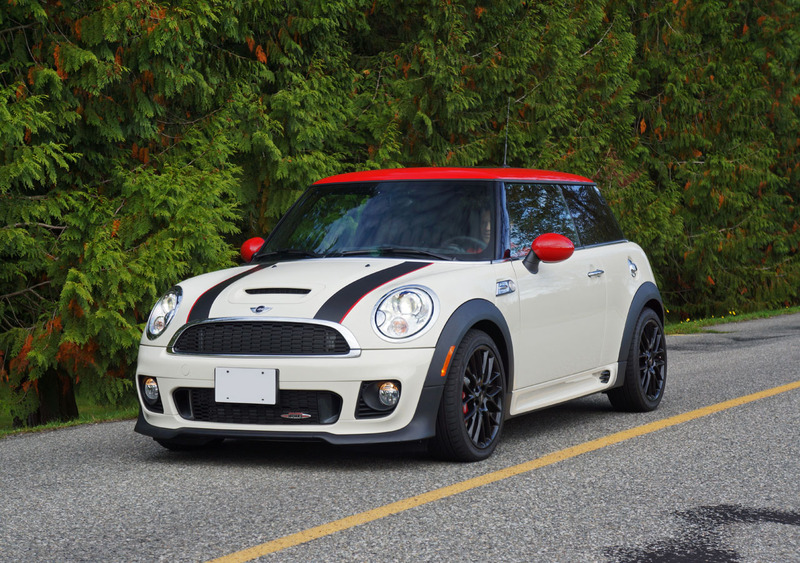 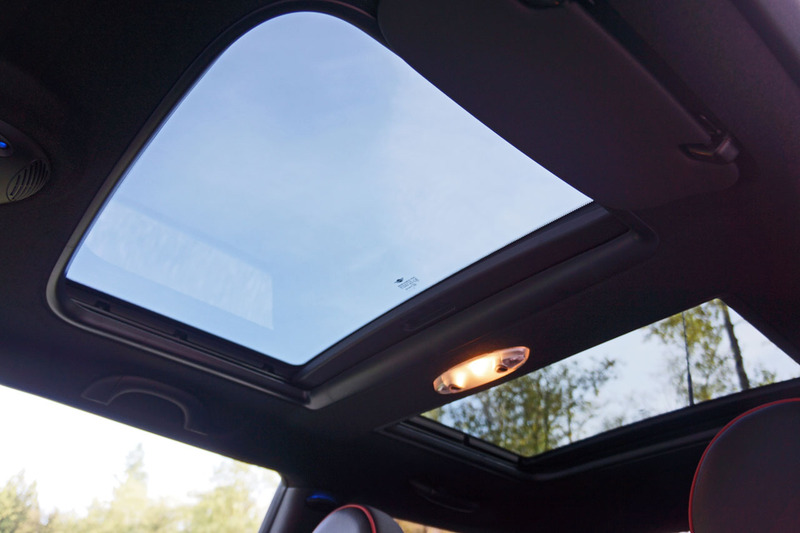 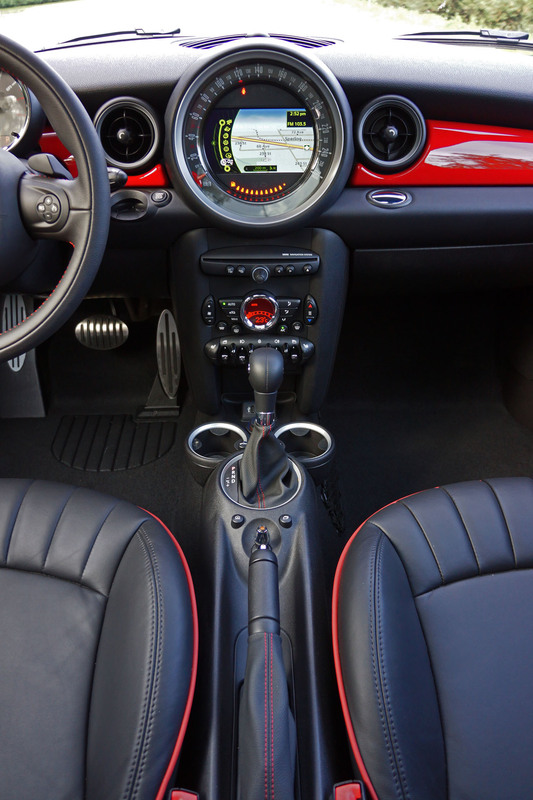 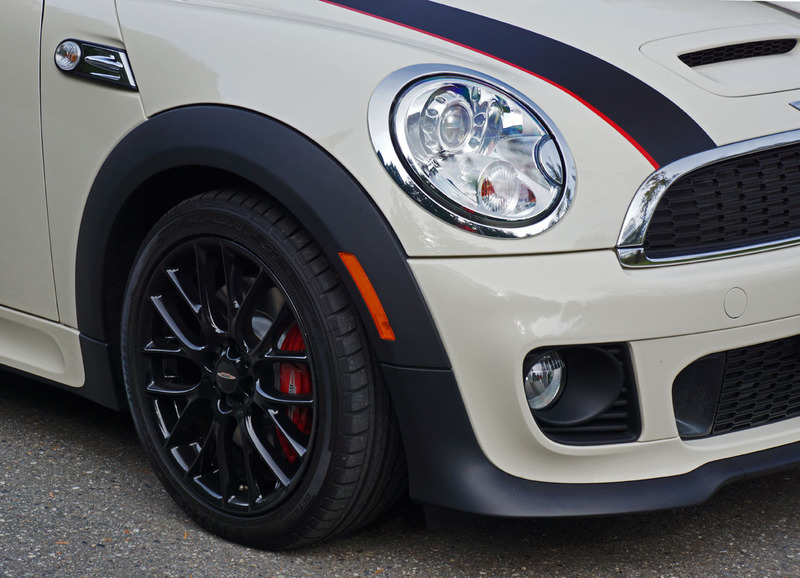 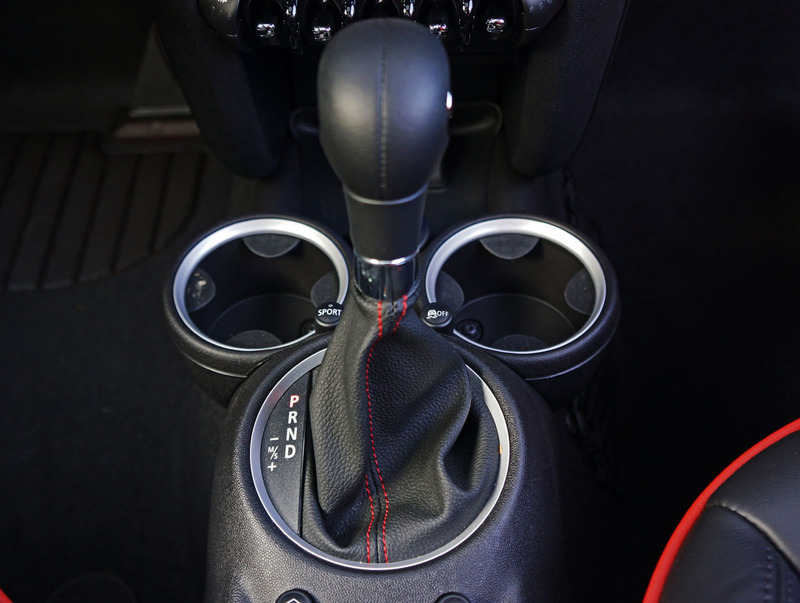 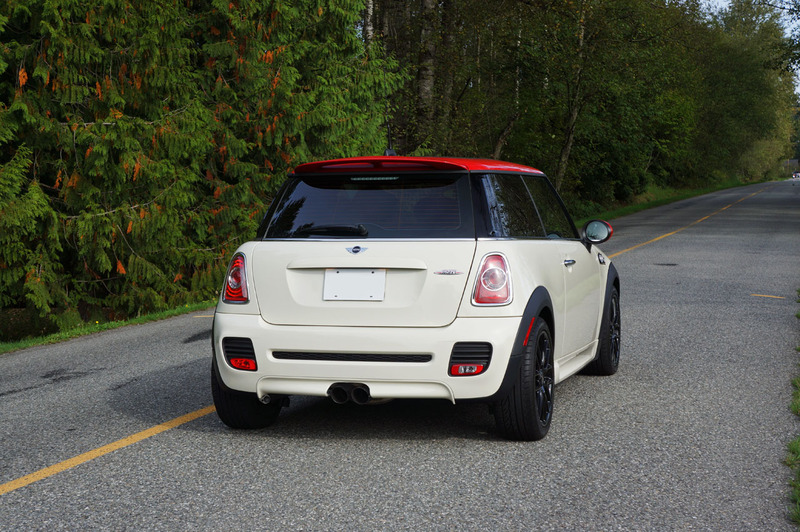 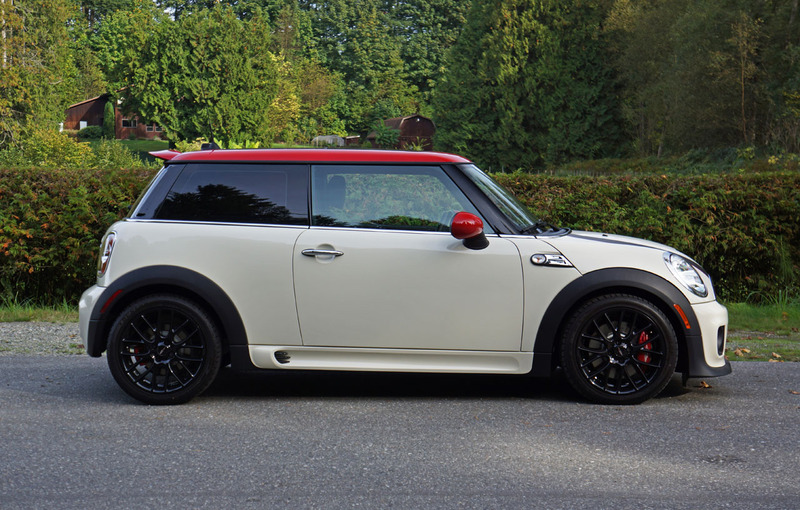 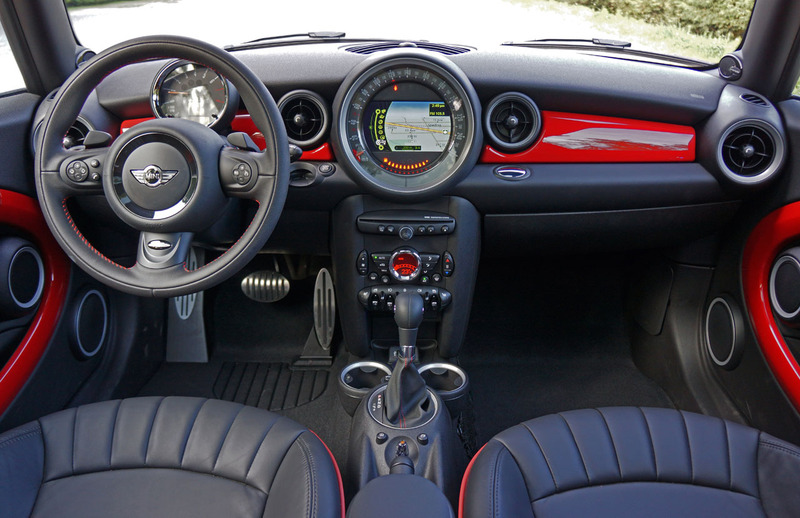 Either way, there’s no better way to get in and out of tight city spaces than from behind the wheel of a super-tuned Mini, and the John Cooper Works Hardtop is the fastest factory-prepped option out there. 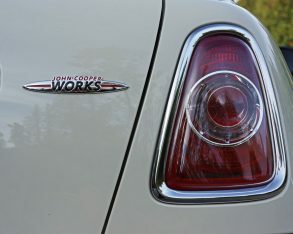 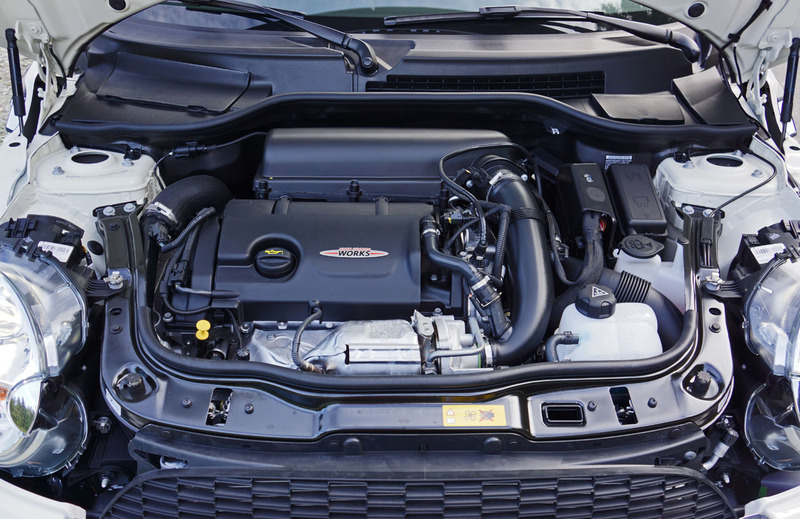 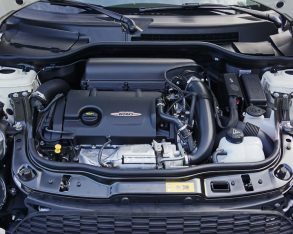 Compared to the base Cooper Hardtop of the same design, the direct injected and twin-scroll turbocharged JCW-tuned version of Mini’s 1.6-litre four-cylinder engine makes 87 more horsepower and 78 additional lb-ft of torque, or on overboost 93 lb-ft of extra twist! 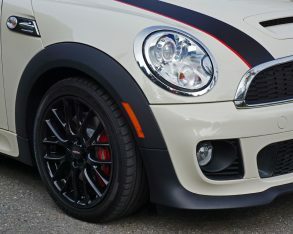 The numbers are 208 horsepower and 192 lb-ft of torque, with a max of 207 lb-ft. 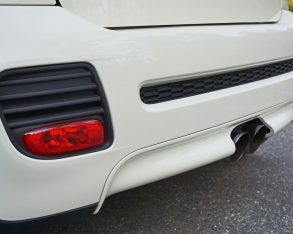 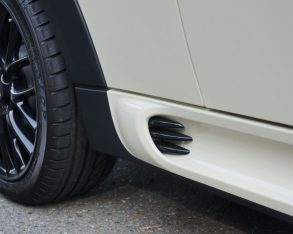 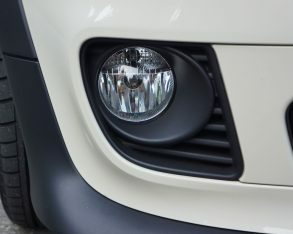 In a car that weighs just 1,215 kilos (2,678 lbs) that’s a whole lot of forward thrust, and then combined with its beefy standard 17-inch rims and 205/45R17 runflats and optional sport suspension it’s a real slicer and dicer in the curves. 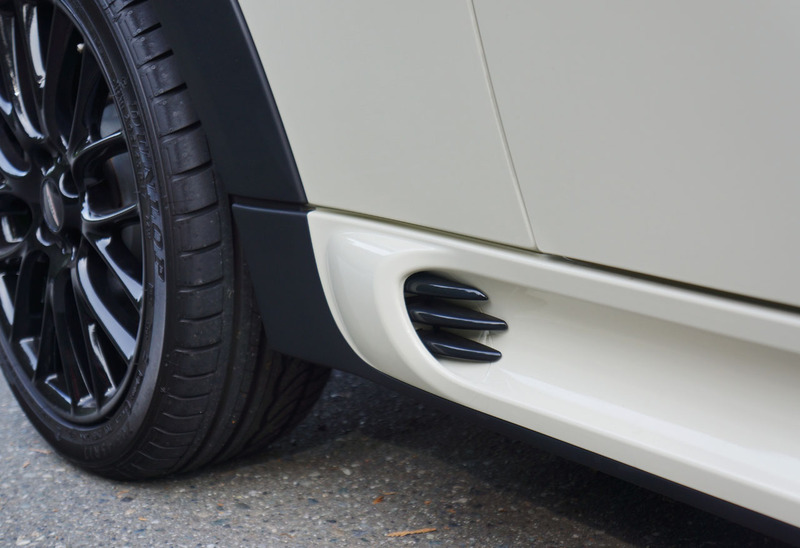 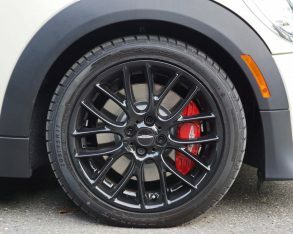 allowing the suspension to be set up a little softer with greater wheel travel than those pavement-clinging ultra-bouncy hyper-tuned (and hyper-flexing) Japanese specials that show up in movies like The Fast and the Furious: Tokyo Drift. 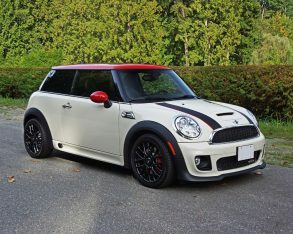 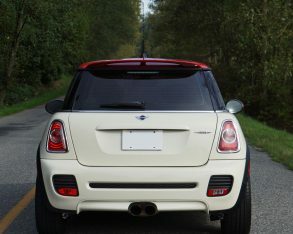 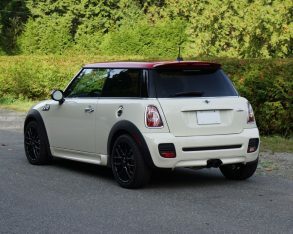 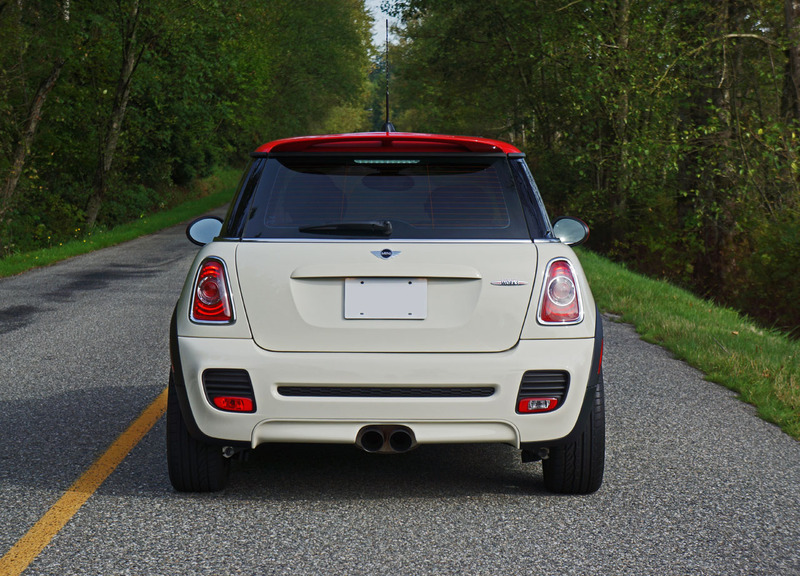 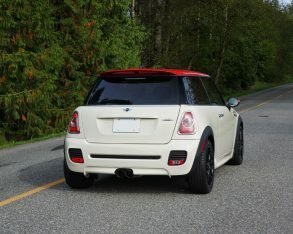 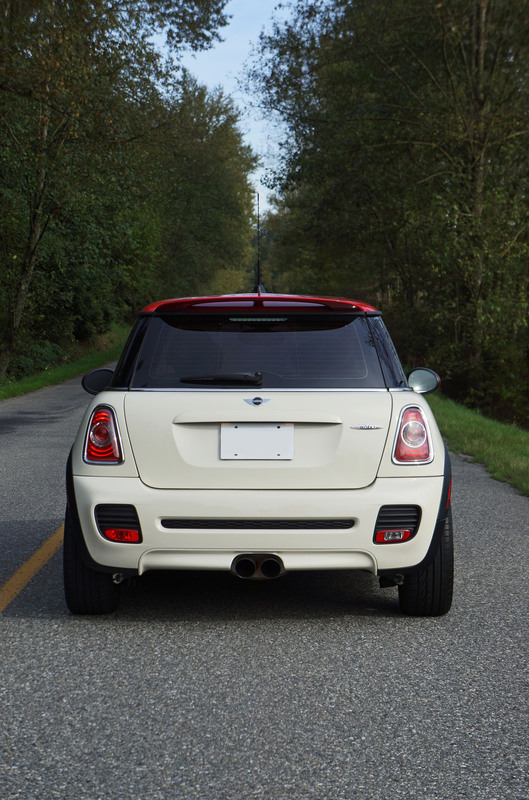 Put one of those cars on a backcountry road like the one I flew over in the JCW and the little Mini would leave it in the dust every time, no matter how much power the aftermarket tuned car had under its hood. 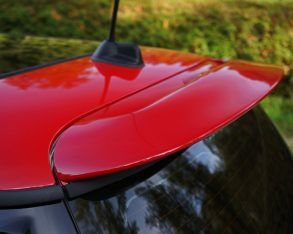 it was a livery that could at once rally angels from on high as well as the mephistophelian masses. 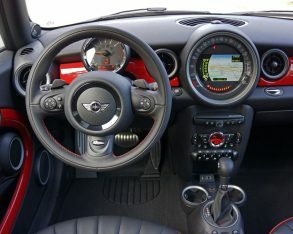 above from the overhead console. 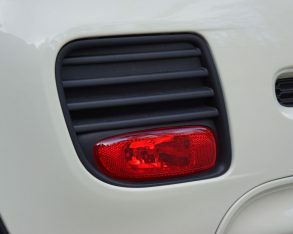 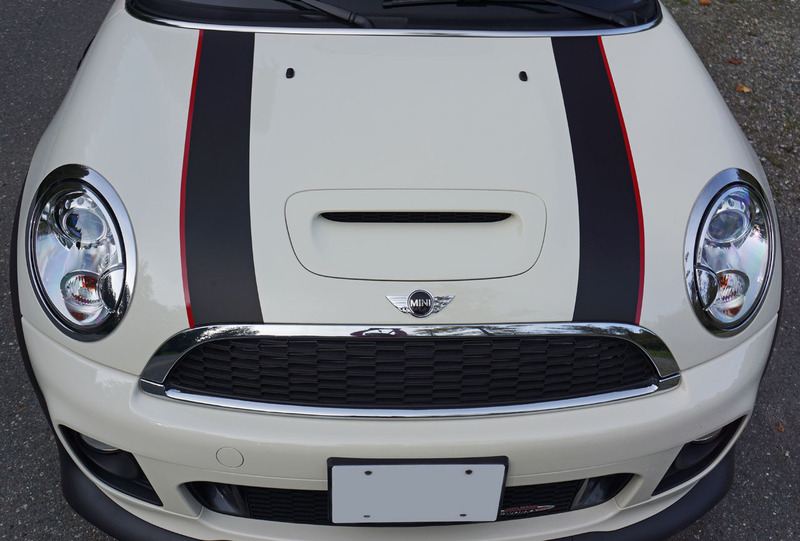 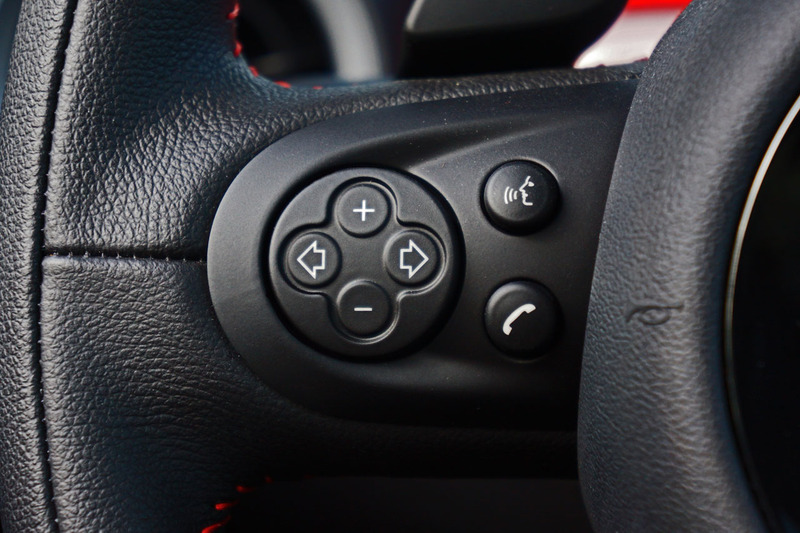 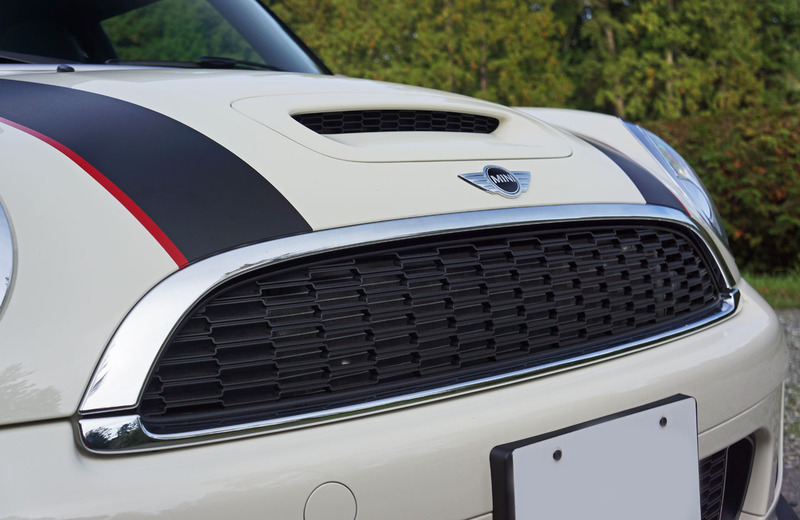 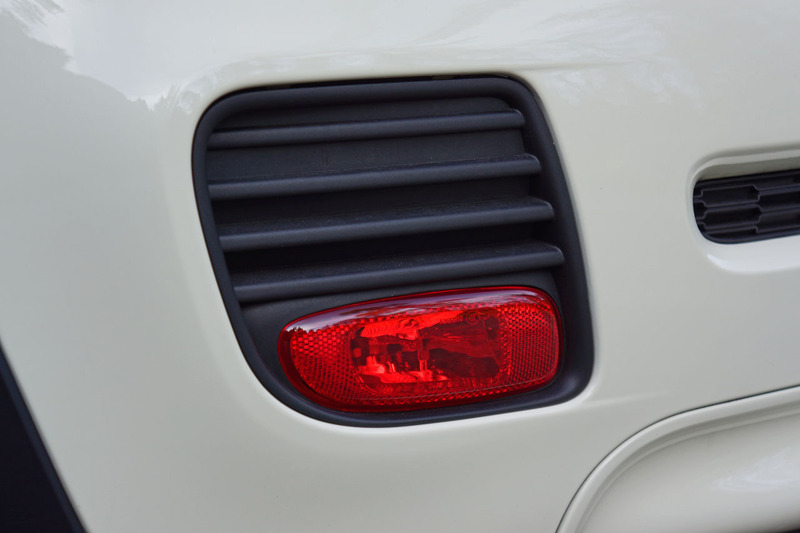 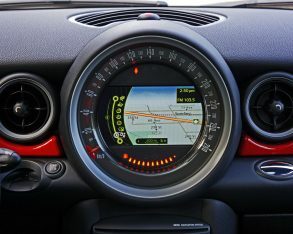 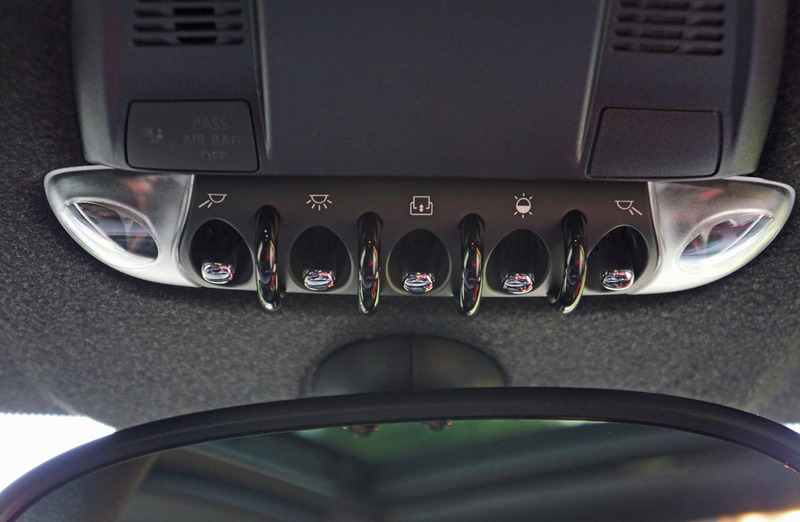 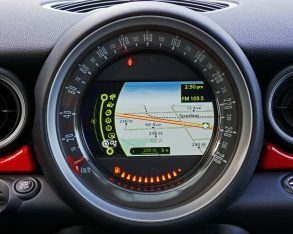 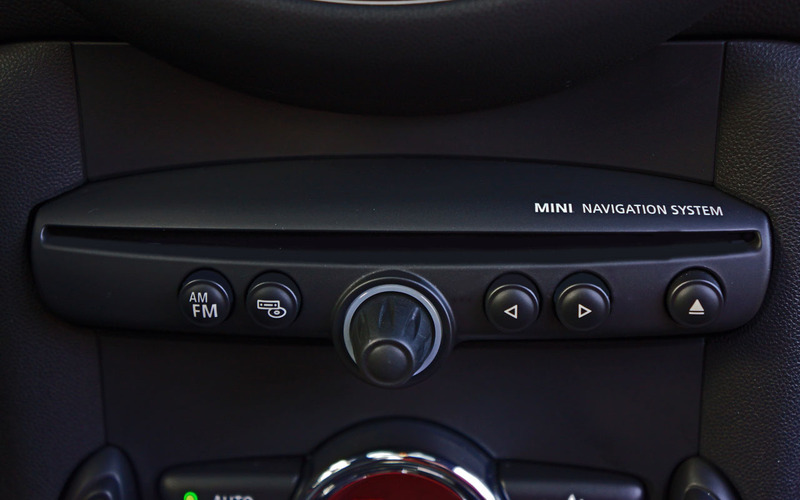 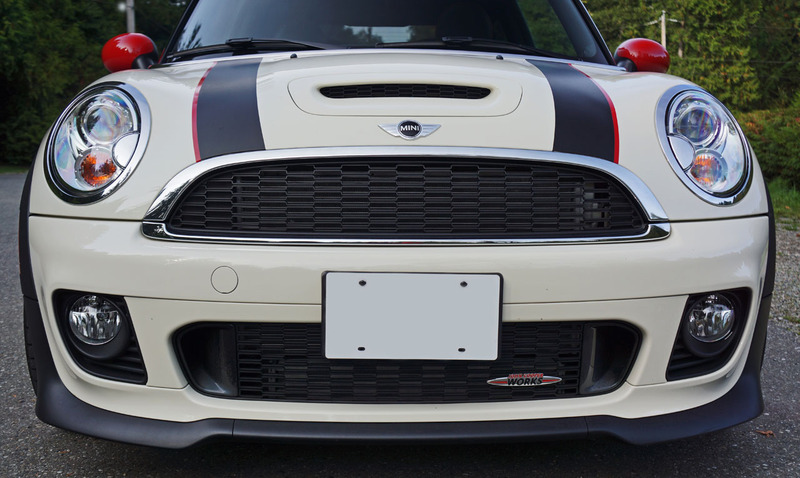 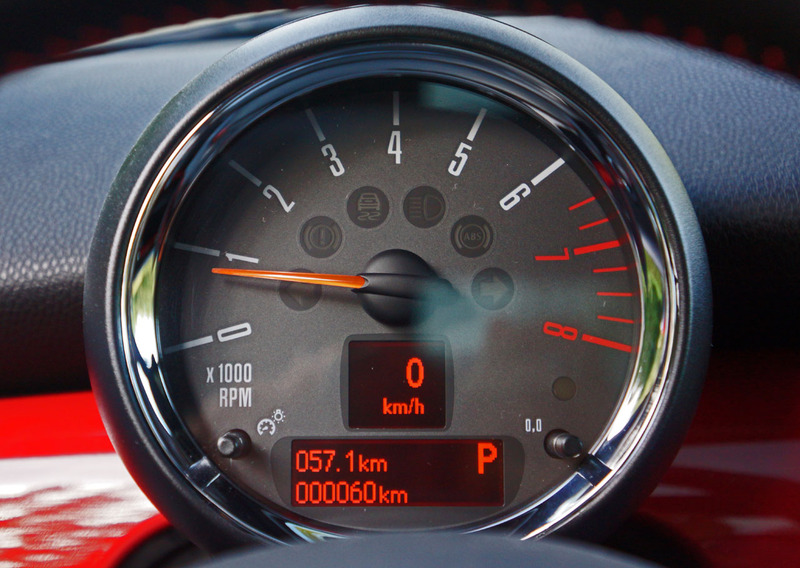 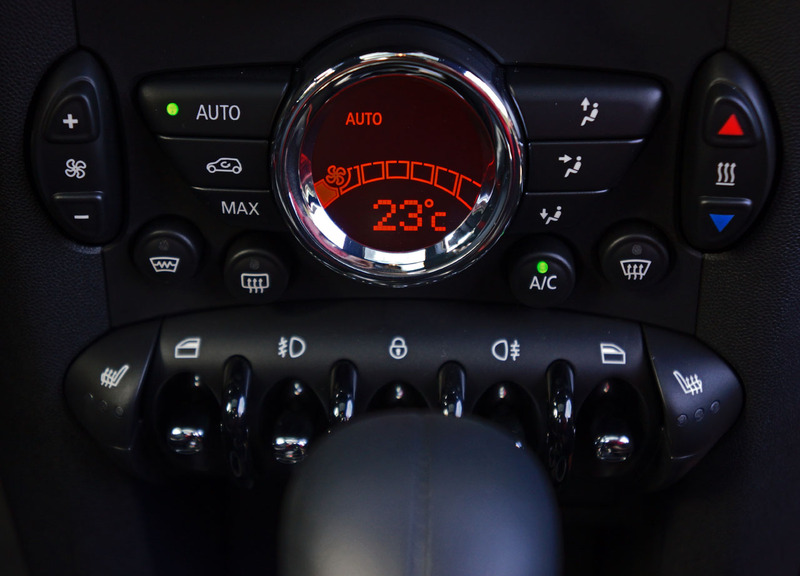 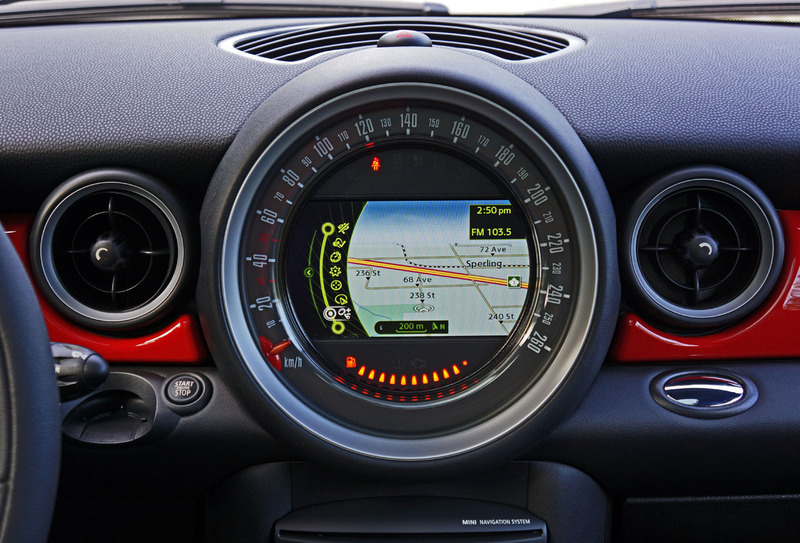 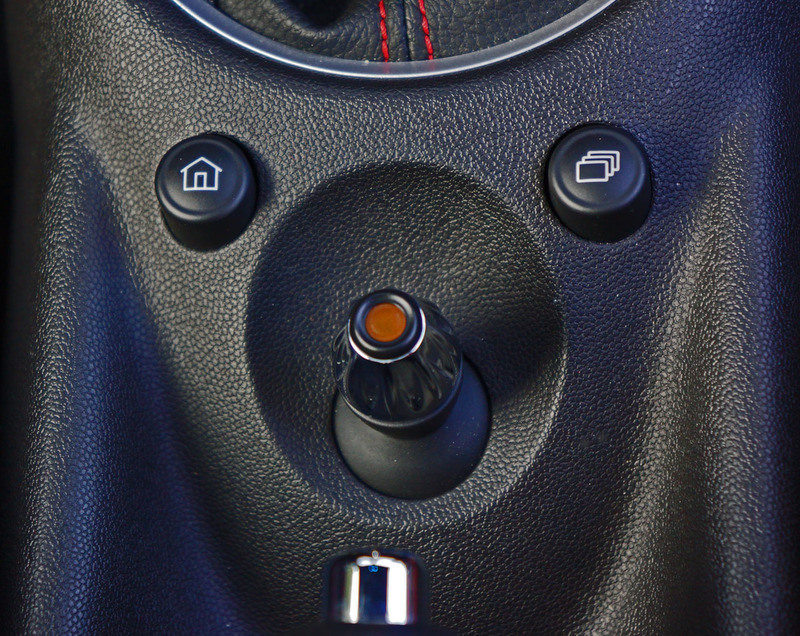 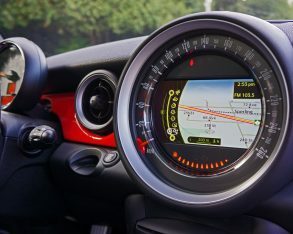 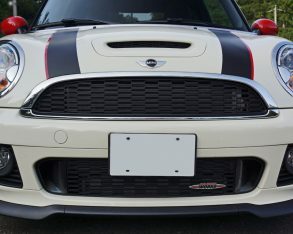 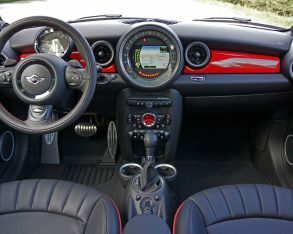 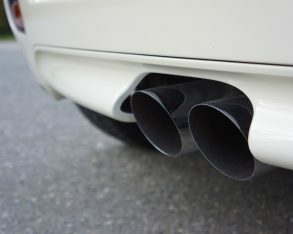 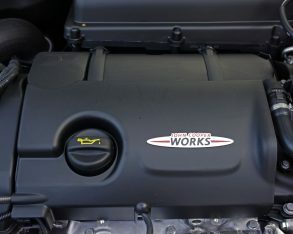 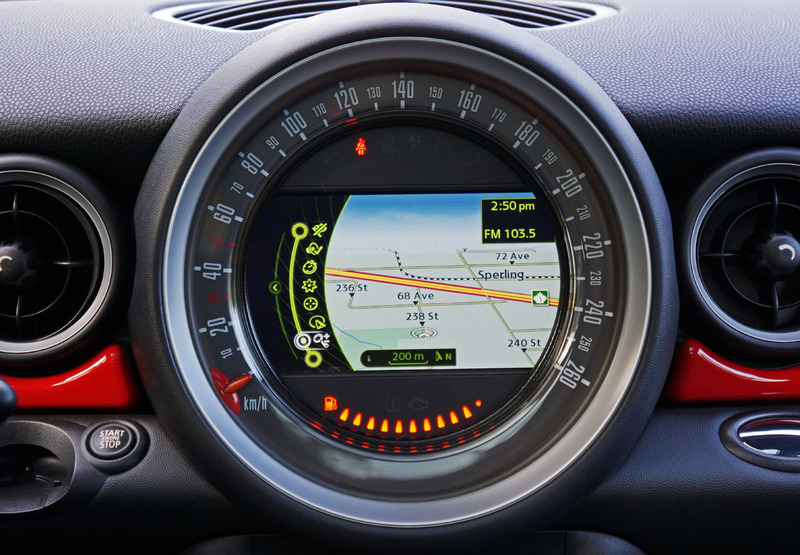 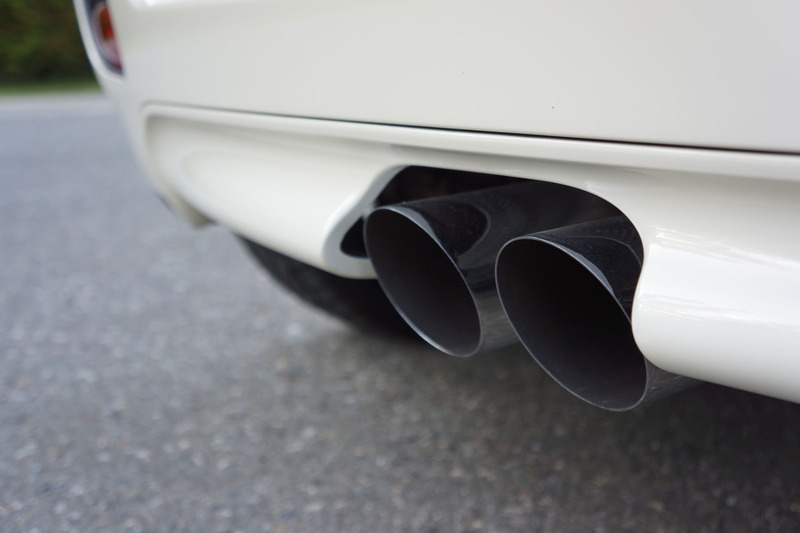 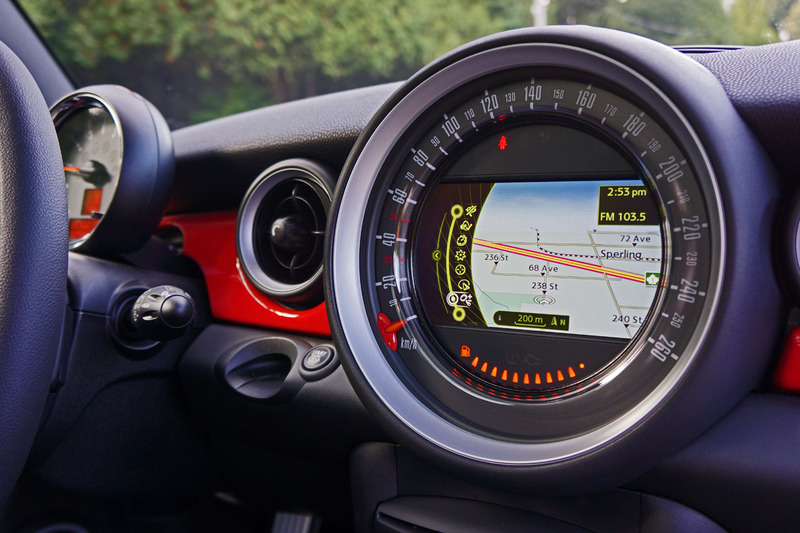 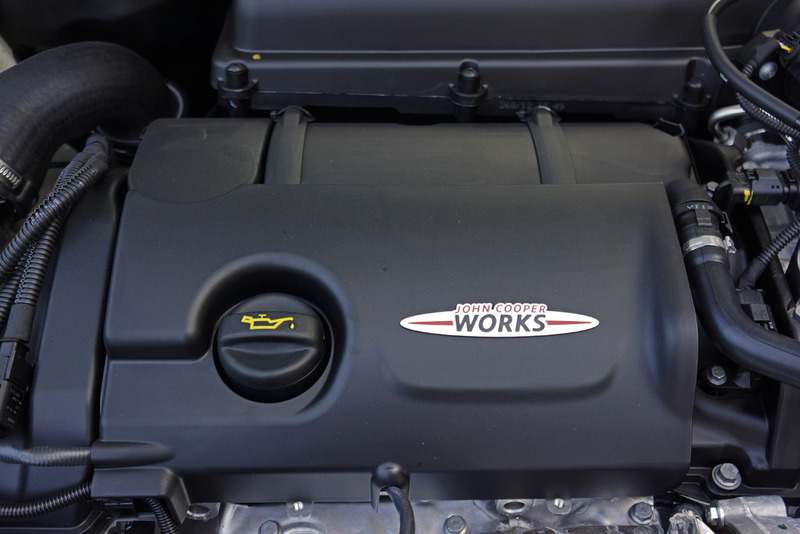 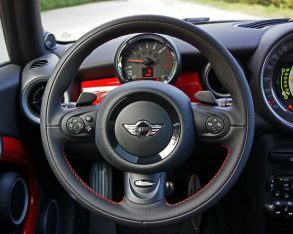 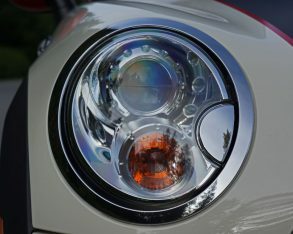 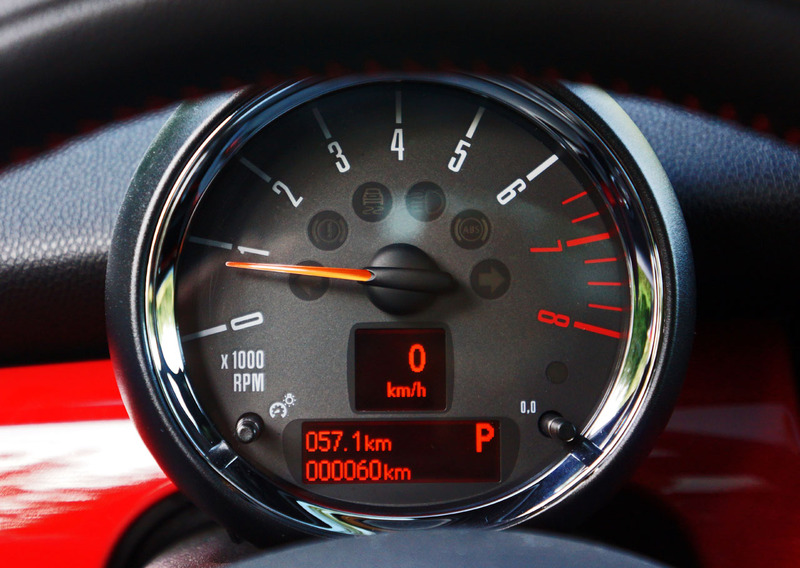 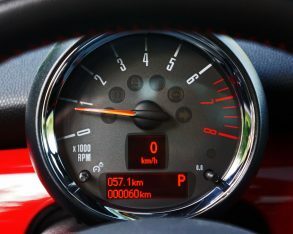 In the JCW, primary gauges that are normally white faced are a deep grey with white and red painted numbers and lettering, plus additional info made available digitally via red LCD. 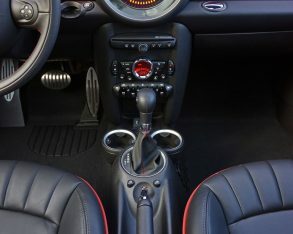 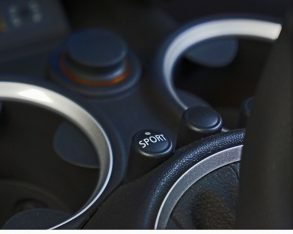 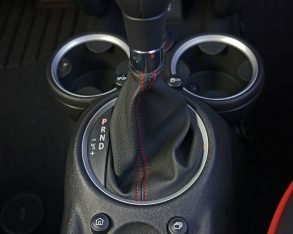 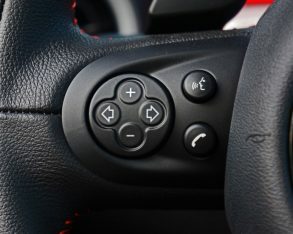 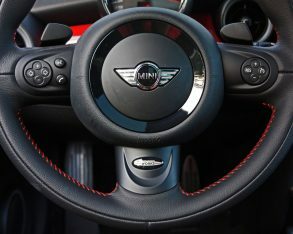 A thick leather-wrapped multi-function steering wheel feels just right in the palms and fingers, aluminum finished pedals ideally placed beneath, and chrome and leather-adorned shifter perfectly positioned within easy reach, although as mentioned paddle-shifters come standard as part of JCW upgraded cars fitted with automatic transmissions. 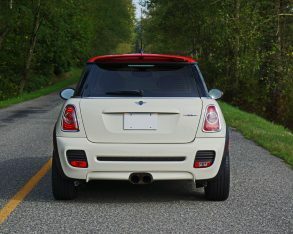 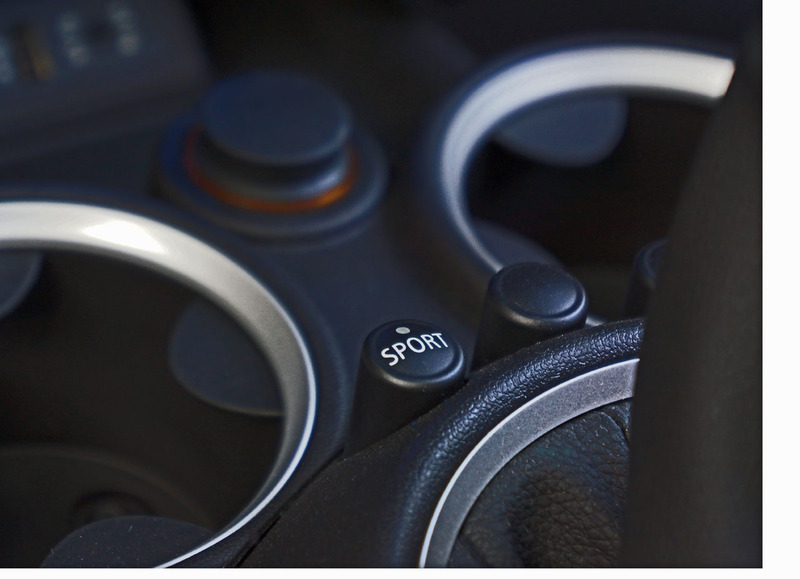 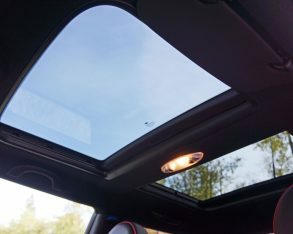 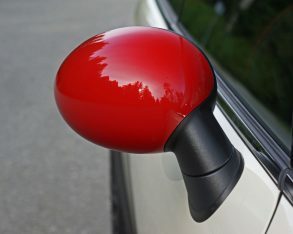 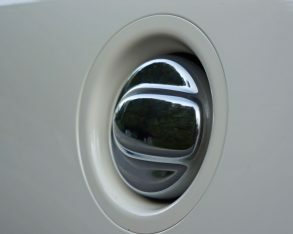 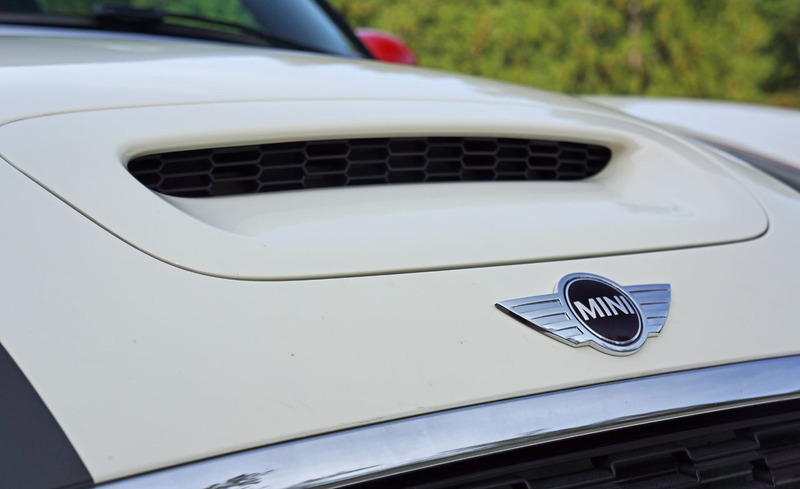 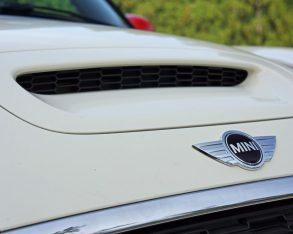 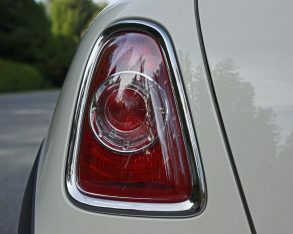 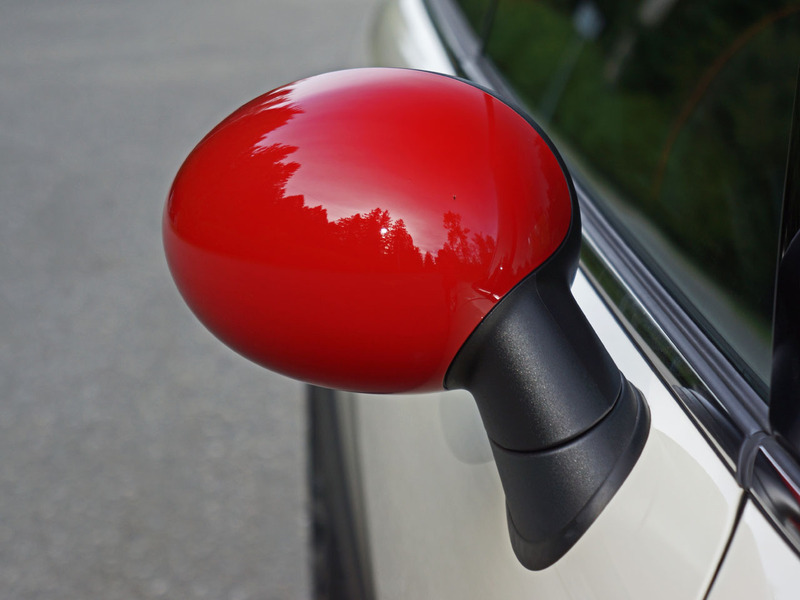 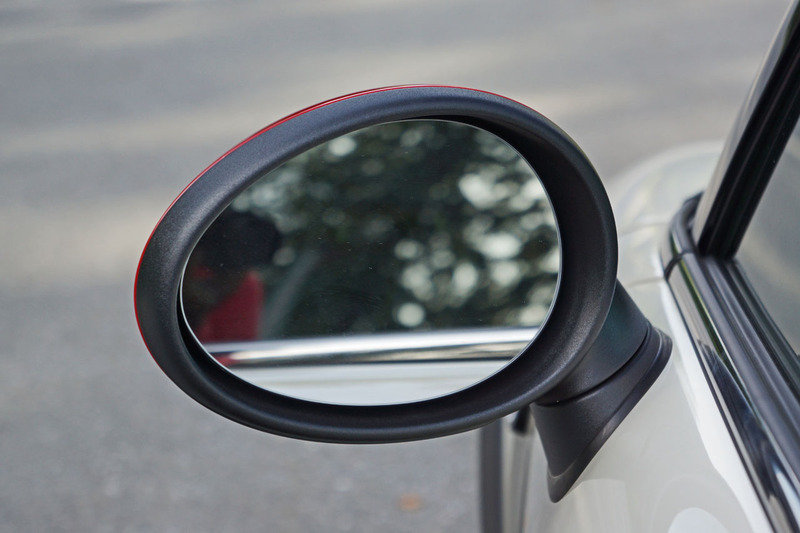 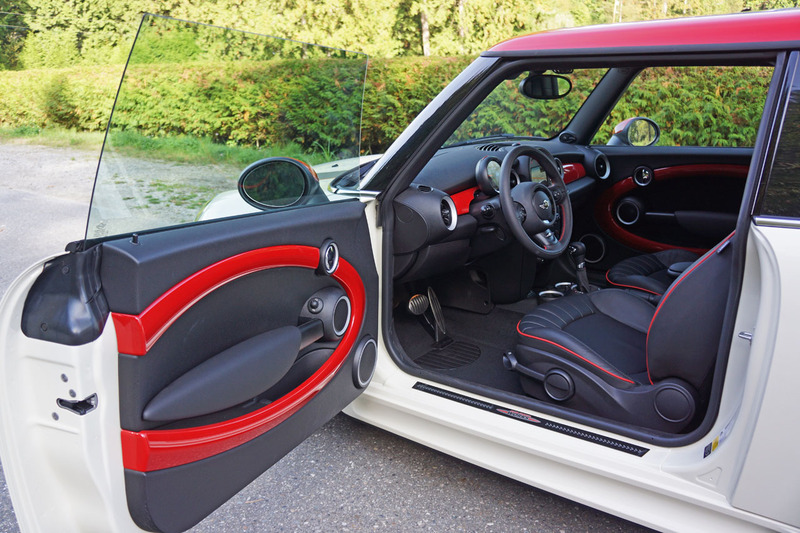 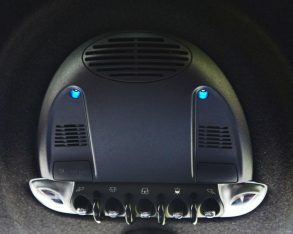 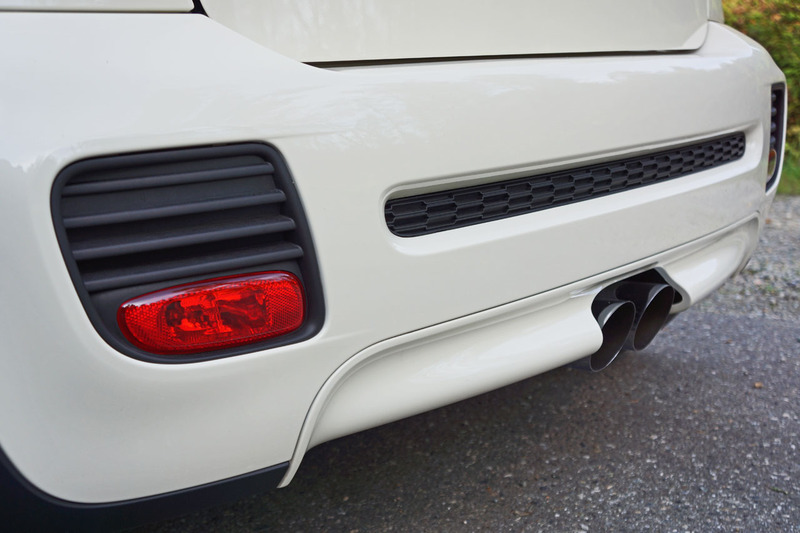 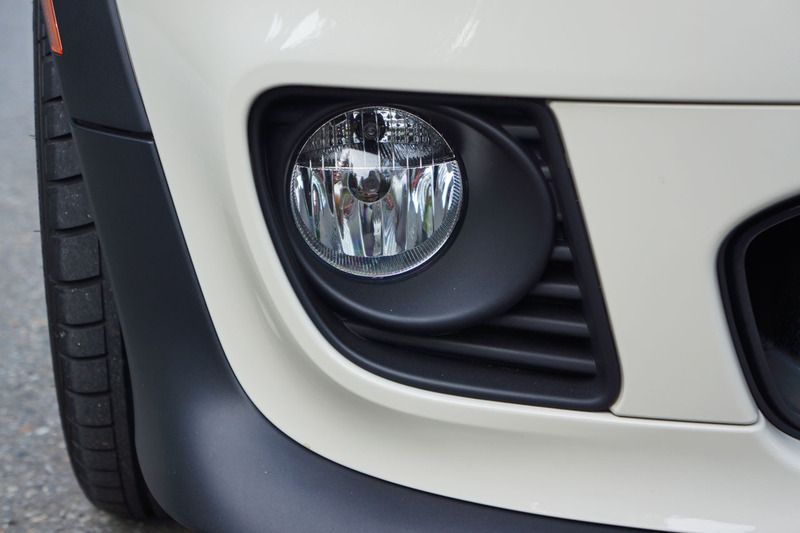 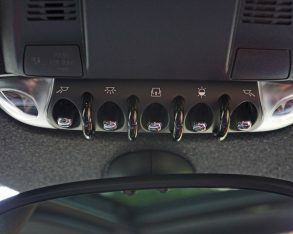 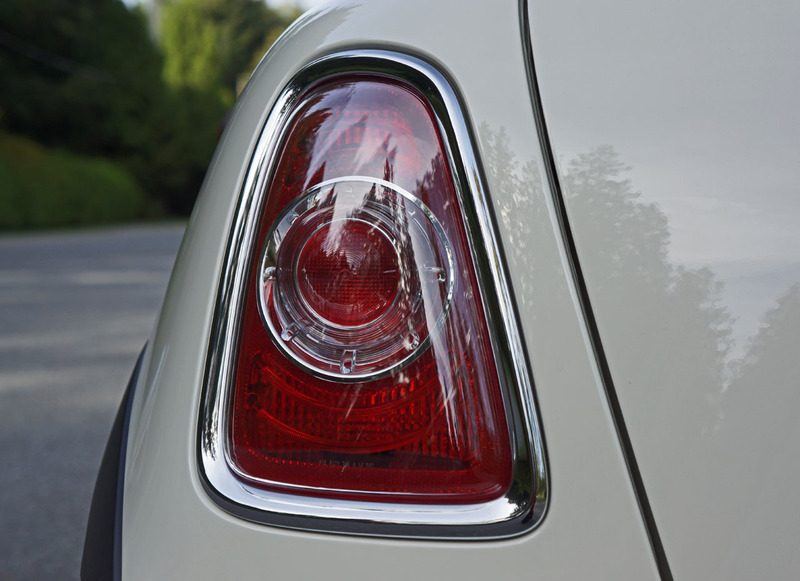 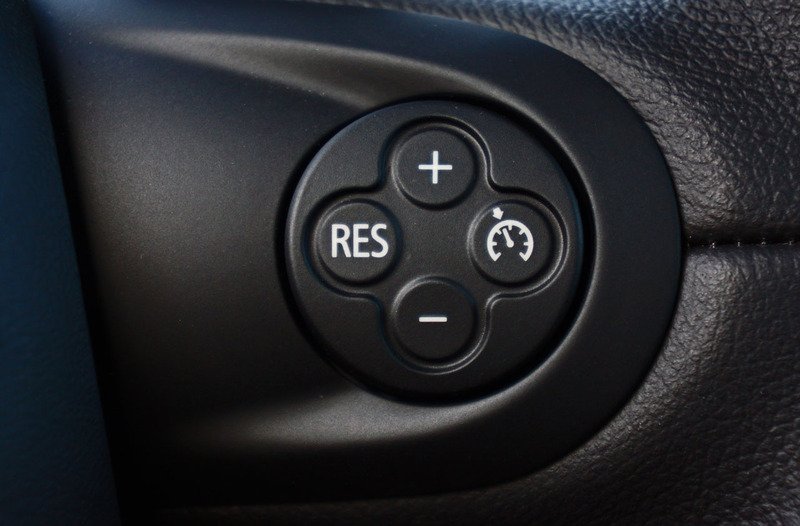 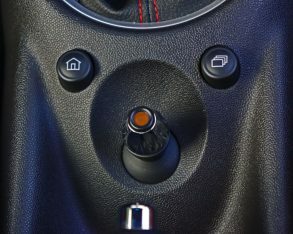 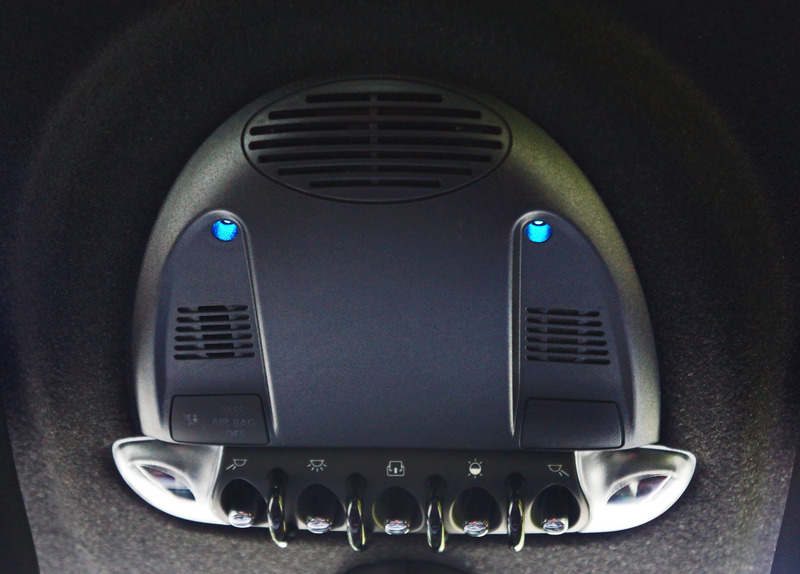 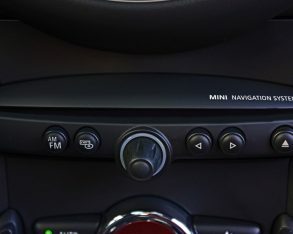 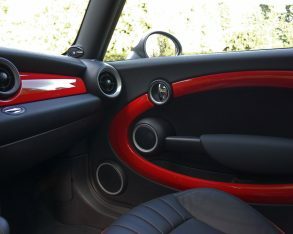 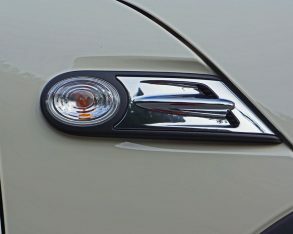 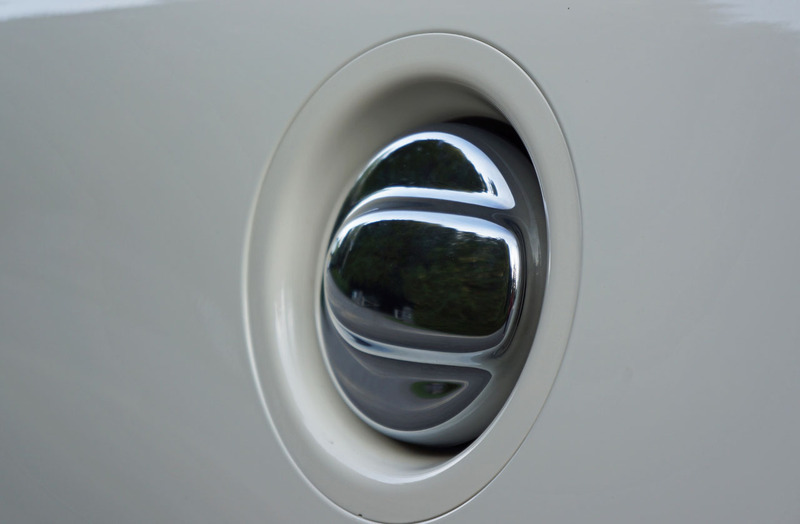 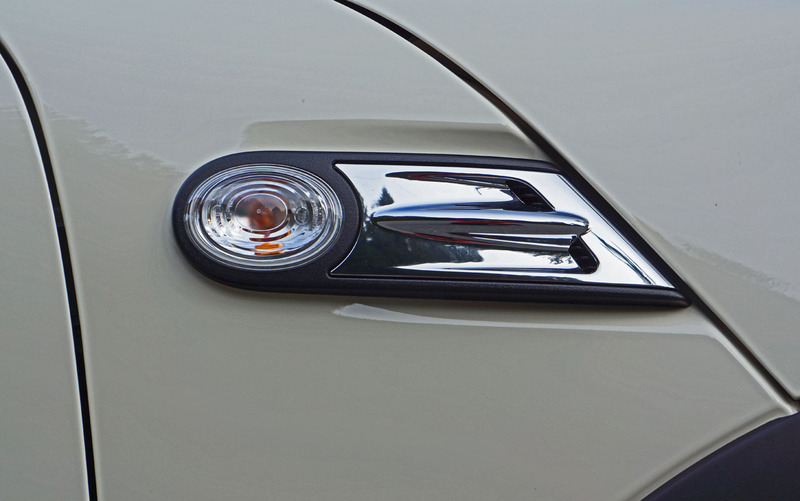 expected in Mini’s near-luxury class. 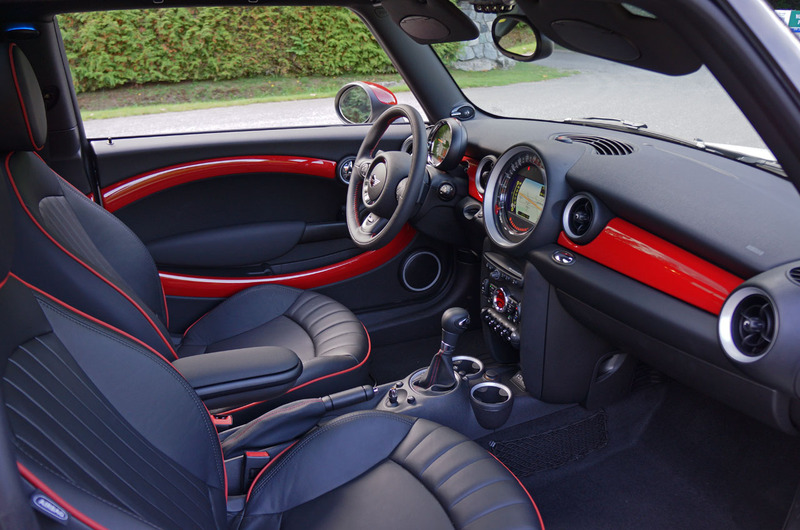 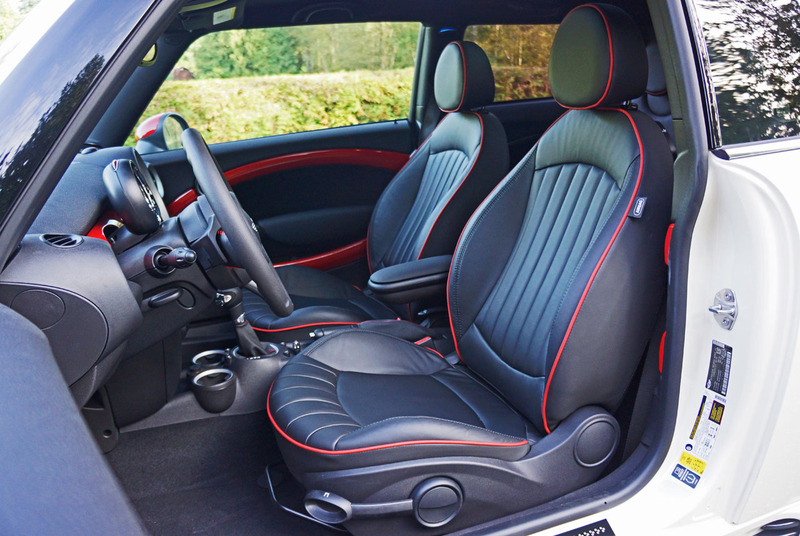 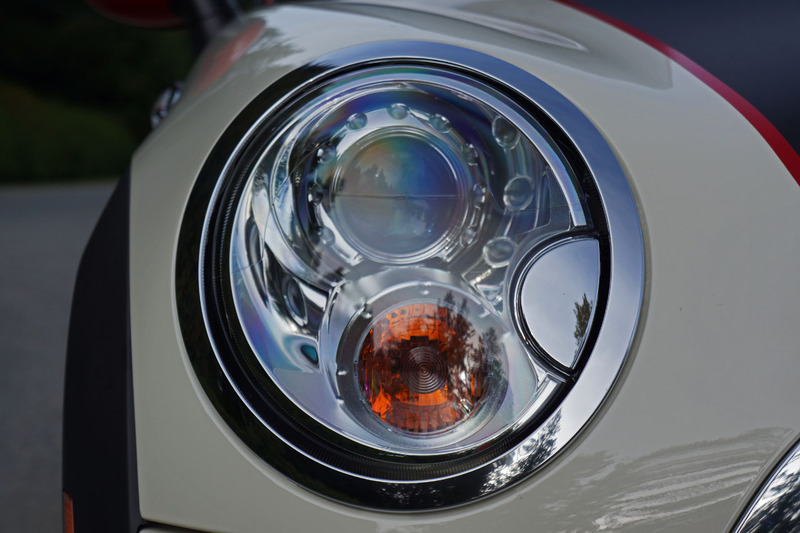 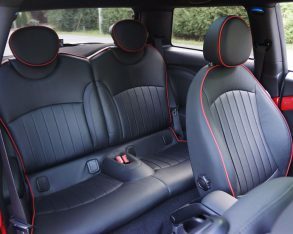 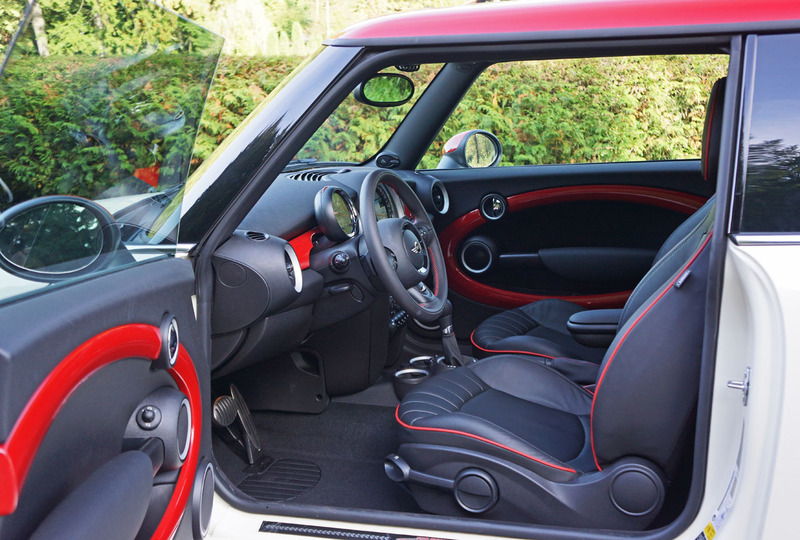 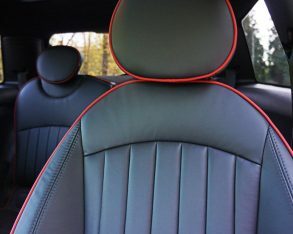 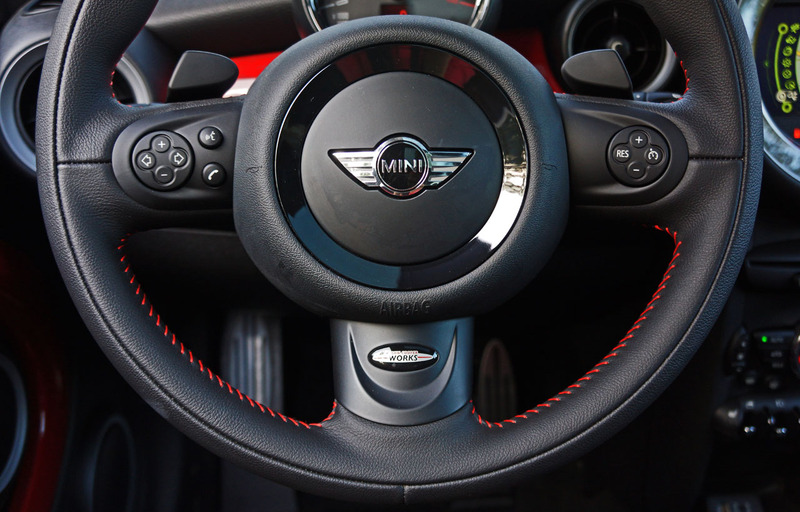 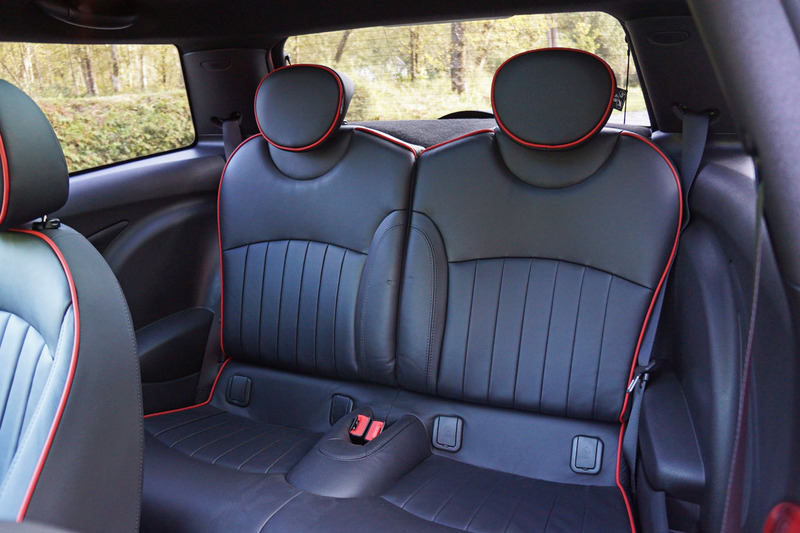 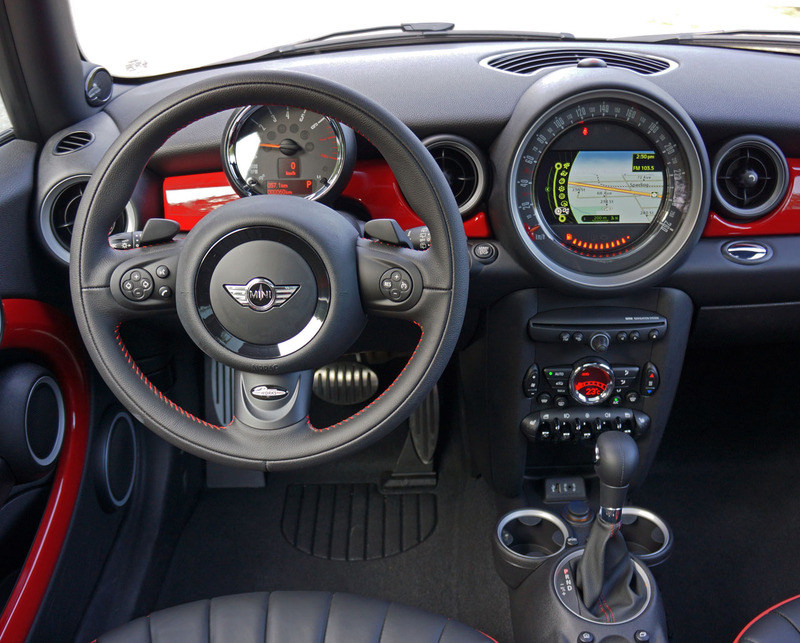 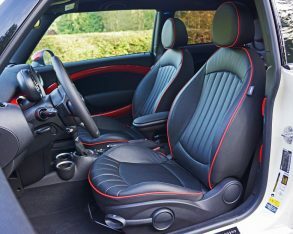 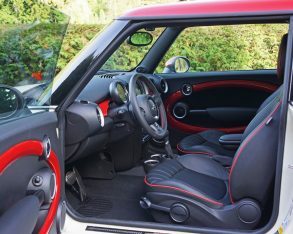 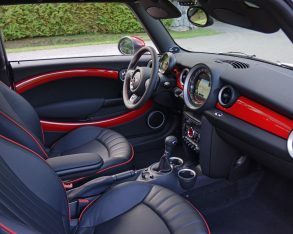 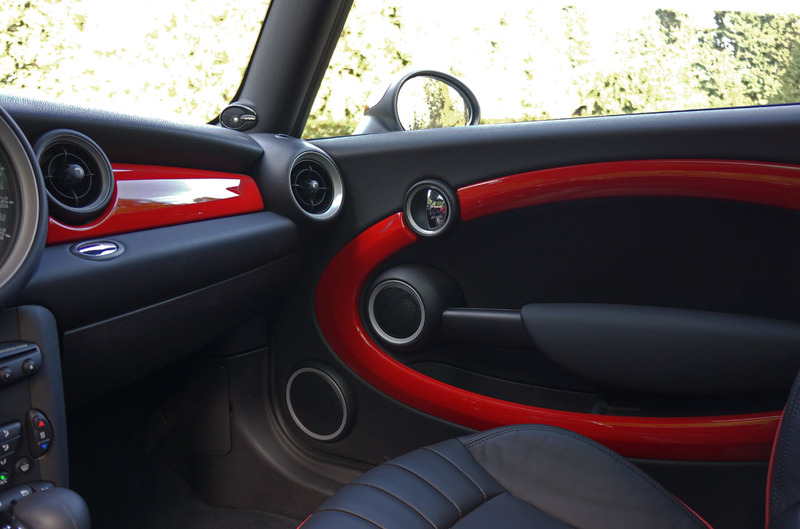 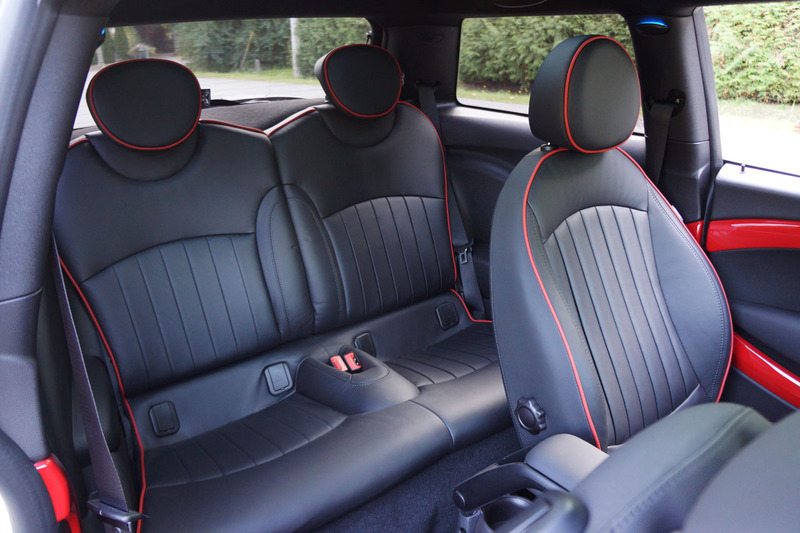 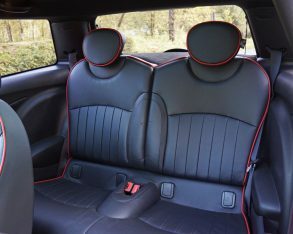 The JCW also includes everything Cooper S trims get, such as automatic headlamps, an auto-dimming rearview mirror, plus more comfortable and supportive front sport seats with heated cushions, and rear parking sonar. 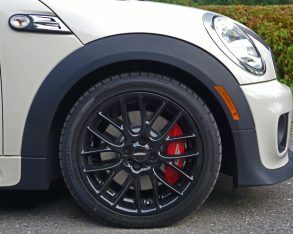 Specific to the JCW are piano black interior accents, a John Cooper Works aerodynamic kit, fog lights, bi-xenon HID headlamps with washers, white turn signal lenses, dynamic traction control, 17-inch wheels and tires, and of course all the previously stated performance upgrades. 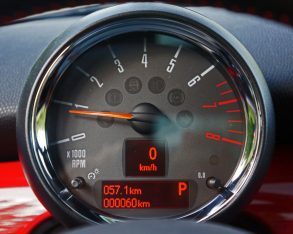 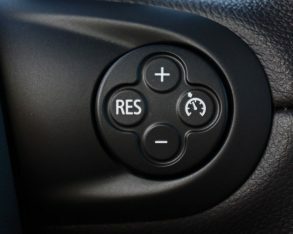 systems on the market, especially if you’re hooking up an iPhone), and a navigation system, all set within the big charger plate-sized central speedometer, the needle of which spins around the outside of the infotainment display for a multi-colour visual that really looks fabulous. 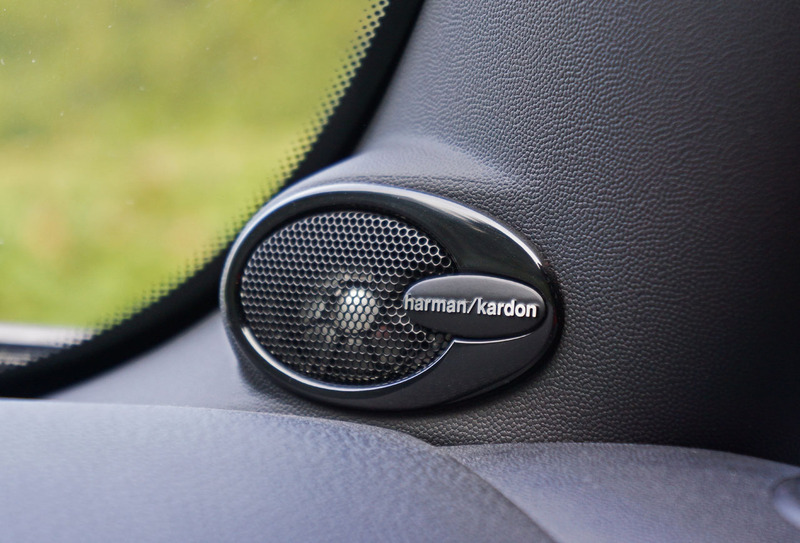 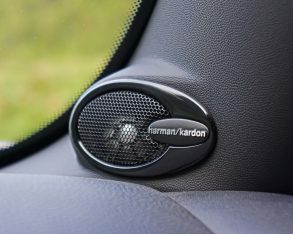 Standalone options on my tester included sport suspension I mentioned before, proximity sensing keyless Comfort Access, rear fog lights, and a Harmon/Kardon audio system upgrade that delivered great sound quality. 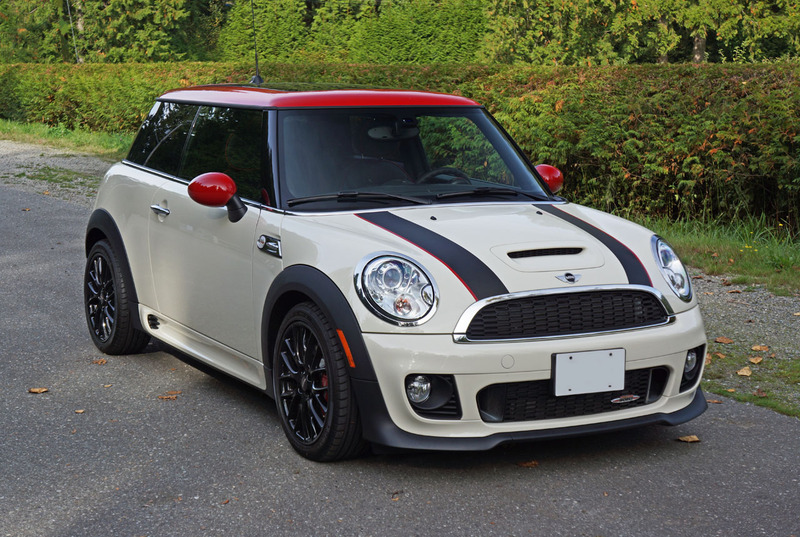 I won’t go into what else could be had with this particular model, because this might just be the last one available anywhere in the country. 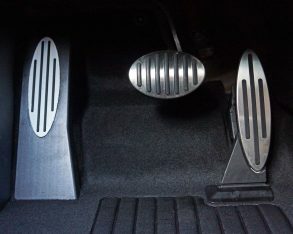 or 7.9, 5.8 and 7.0 with the automatic. 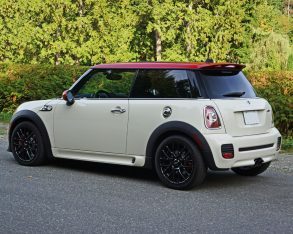 Not bad at all, but keep in mind that these numbers reflect Transport Canada’s old two-cycle rating system, so an identical 2015 model car (if there were to be such a thing) wouldn’t fair as well numerically as it will be subject to the new five-cycle test. 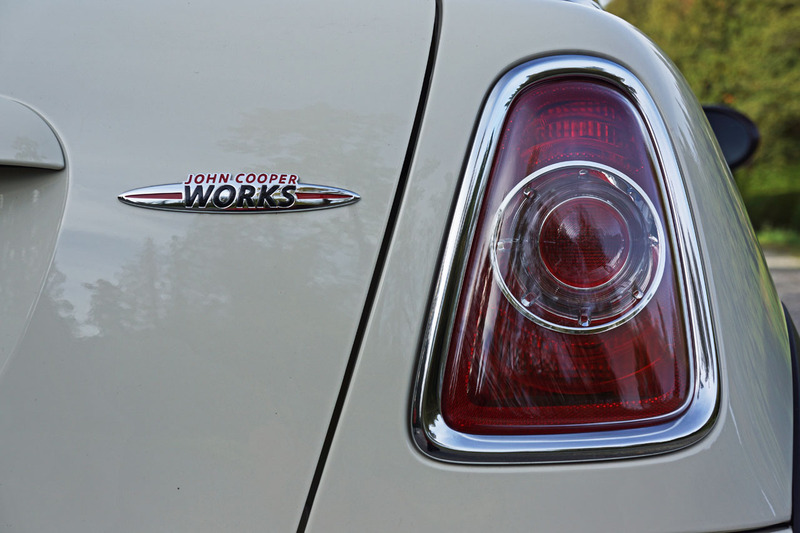 Therefore use these numbers for 2014 model year comparison purposes only. 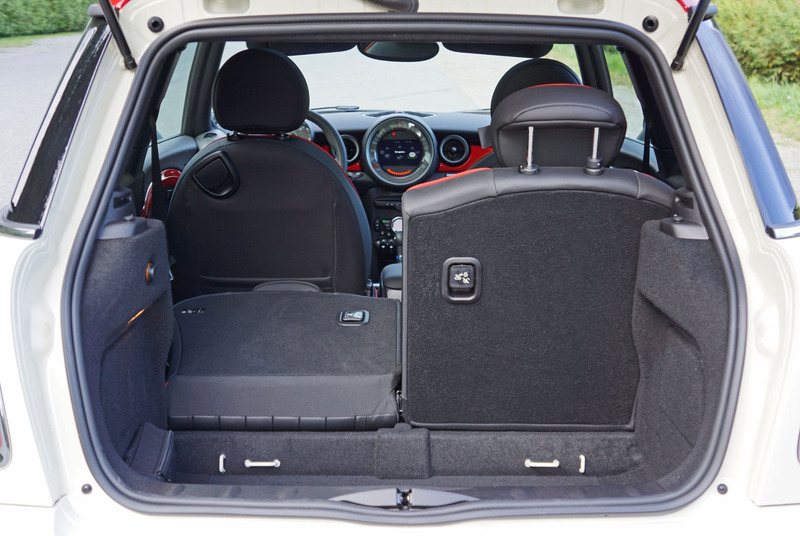 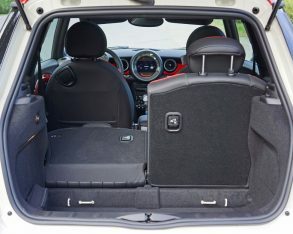 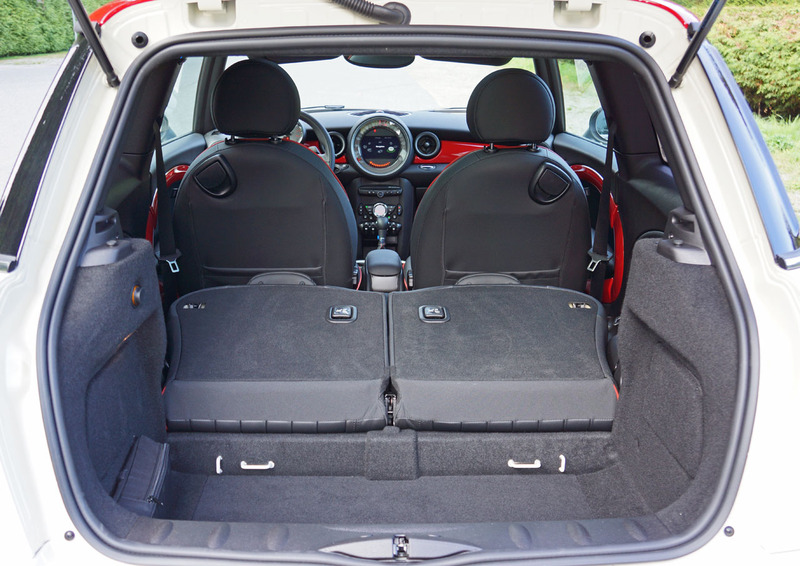 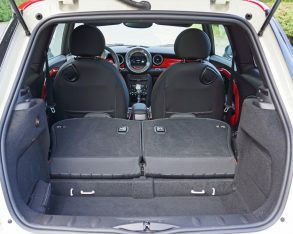 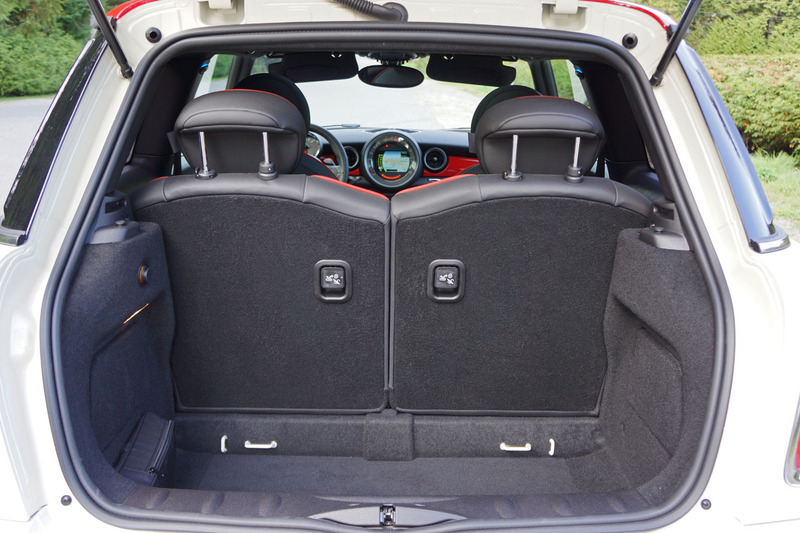 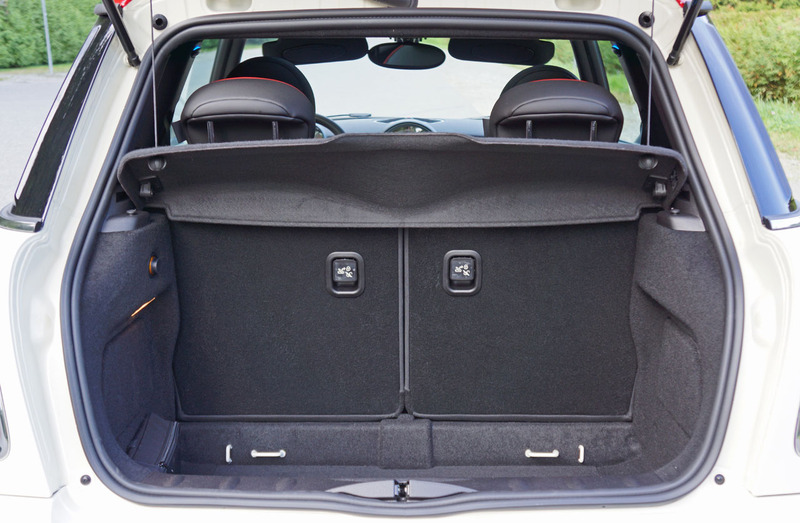 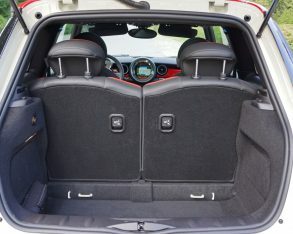 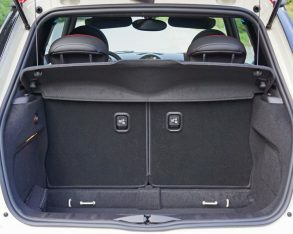 Practicalities in mind, the Hardtop’s rear seat is roomy for two reasonably sized adults with plenty of hip, shoulder and headroom, while the cargo area is tight at 161 litres but can be expanded to a sizable 680 litres by folding the 50/50 split-folding rear seatbacks down. 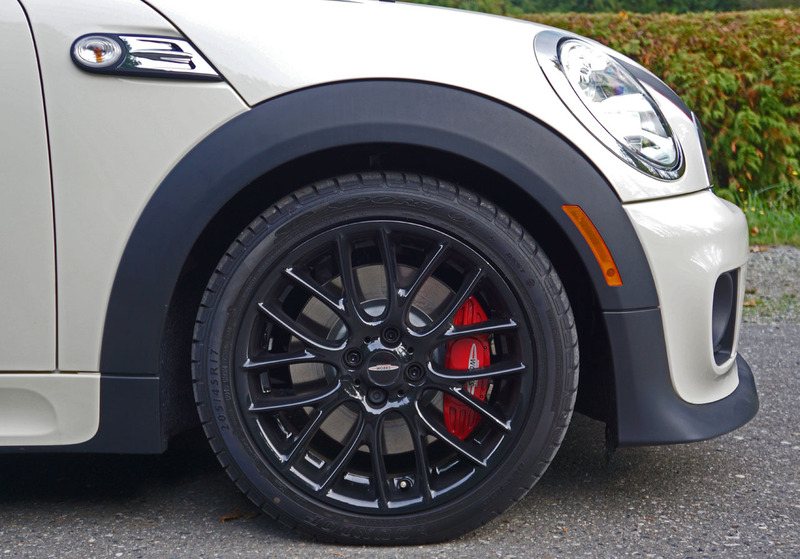 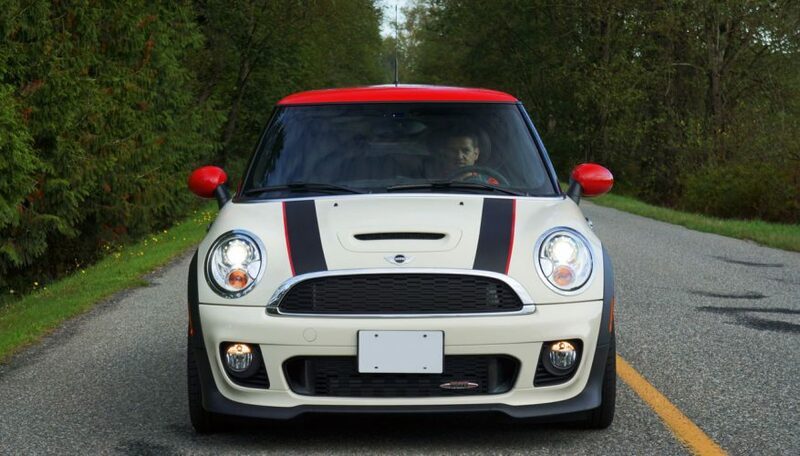 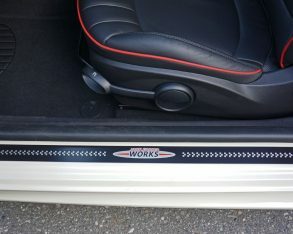 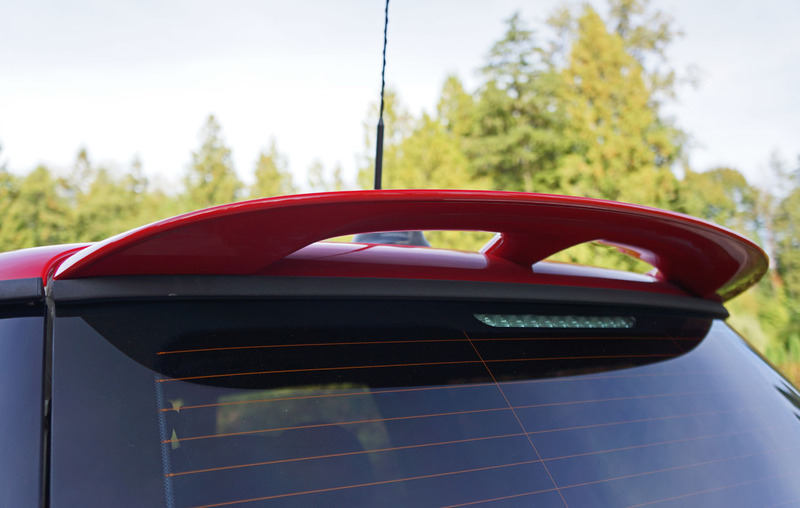 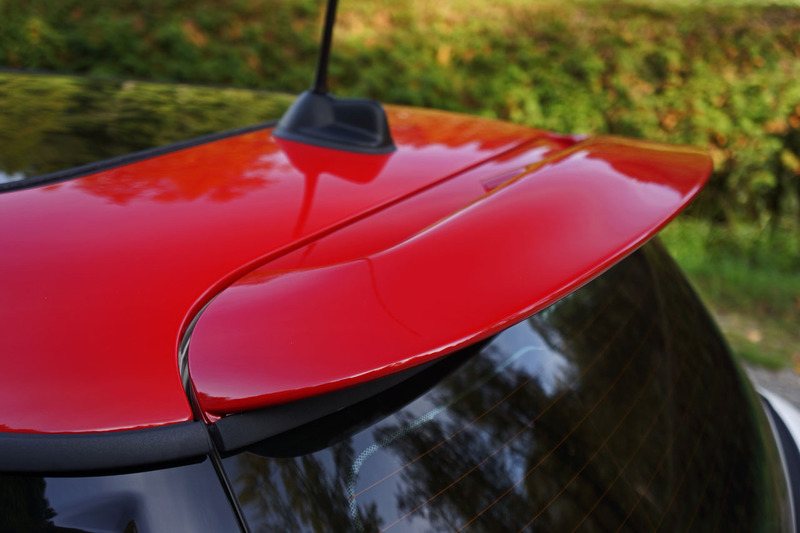 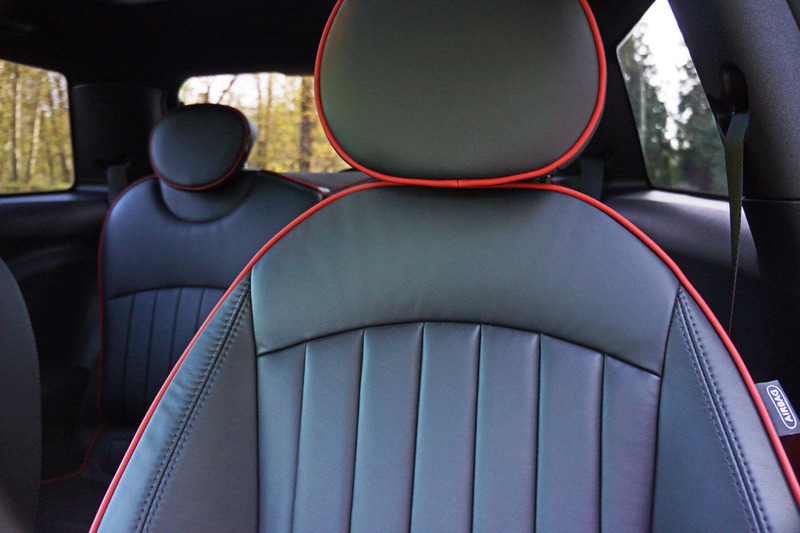 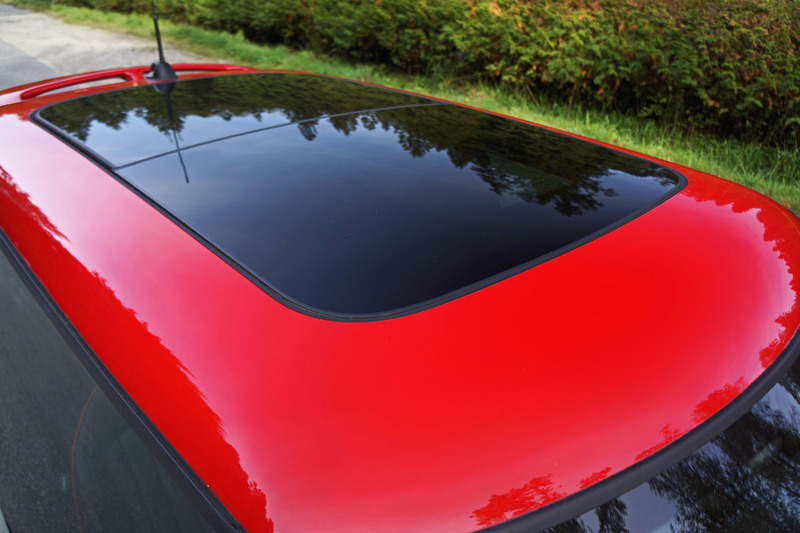 the true beauty of the JCW Hardtop. 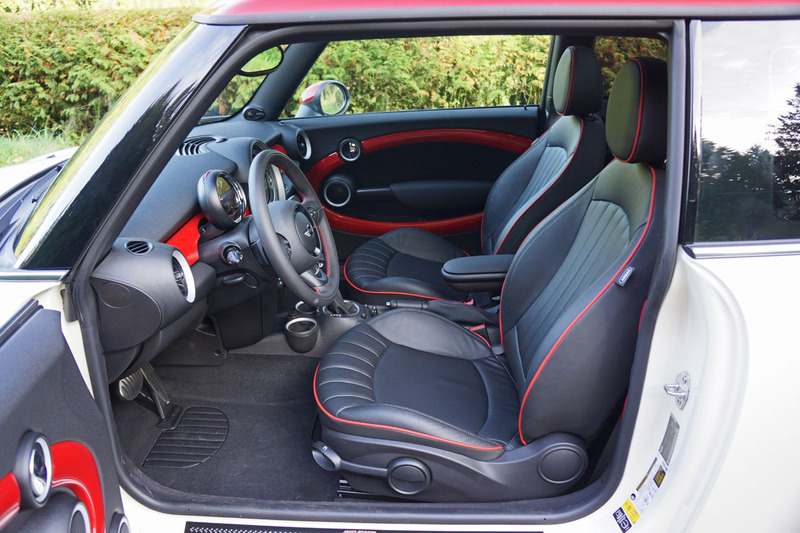 While a very real sports car in every way, it’s as practical as most any four-seat city car. 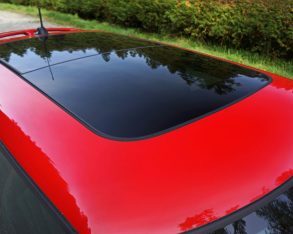 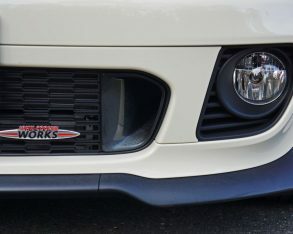 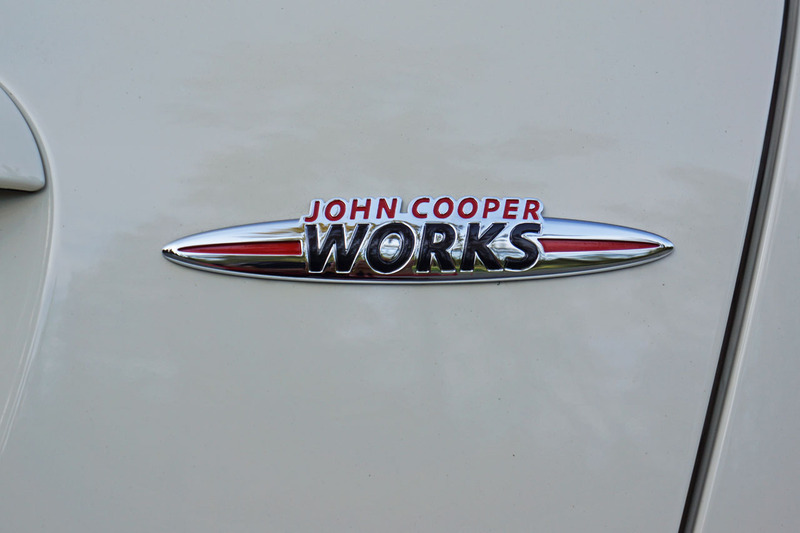 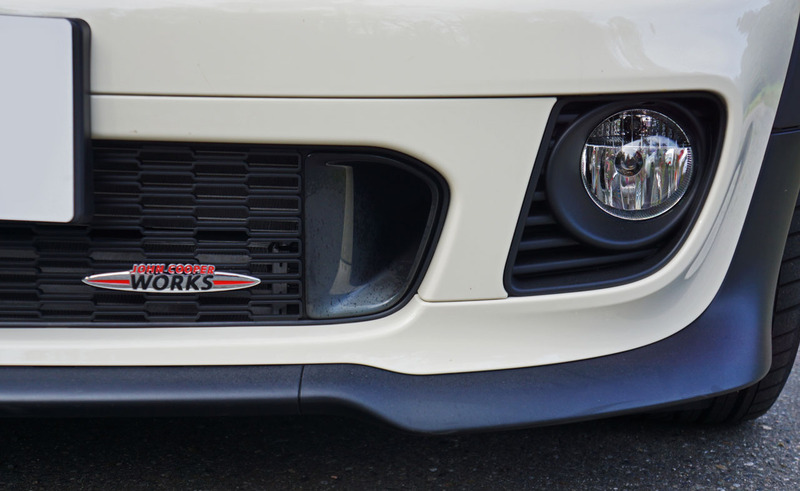 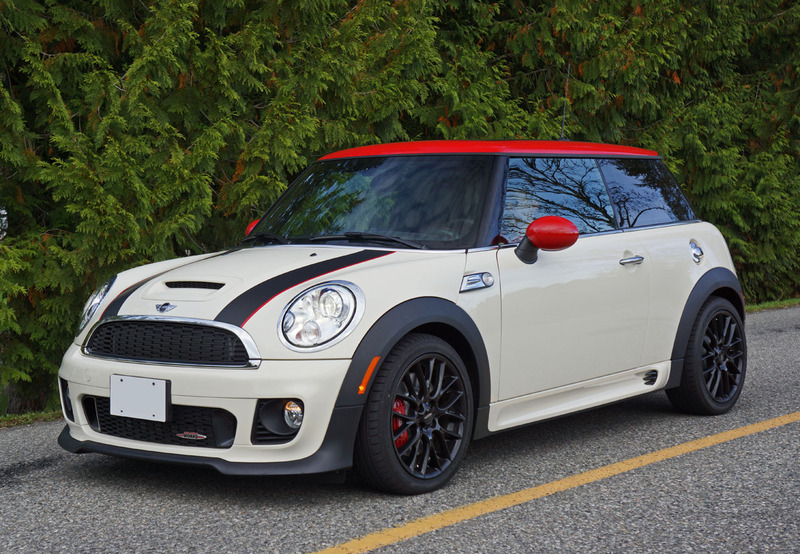 And with pricing that starts at $36,900 plus freight, the John Cooper Works Hardtop is well within reach of the majority of performance enthusiasts. 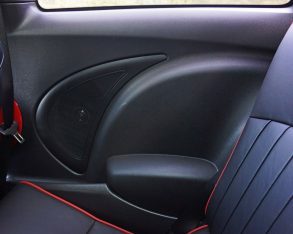 Just don’t wait too long to pick this very rare example up if you want to buy new, as I can’t see it being available much longer.